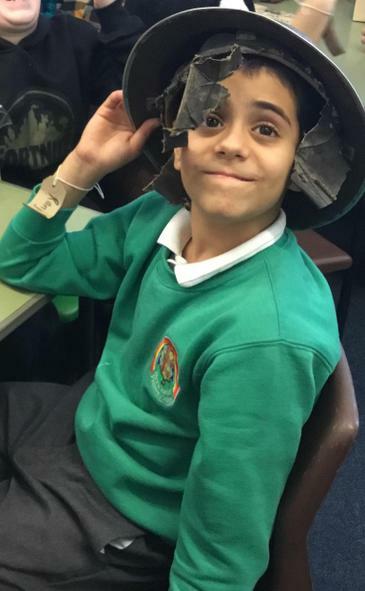 Children in Year 4 have settled very well into their new classes! 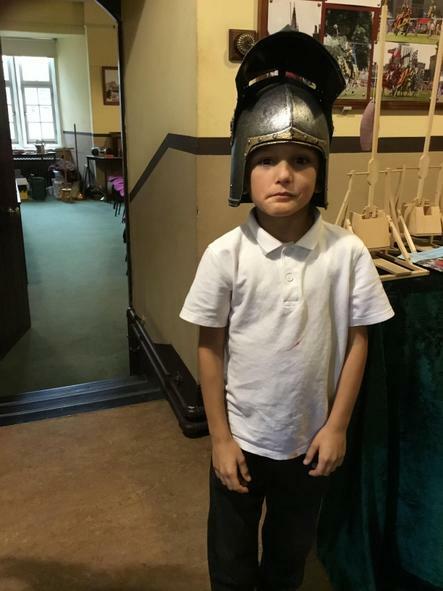 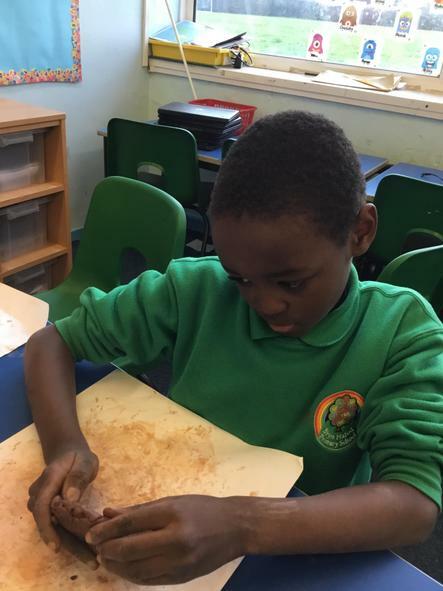 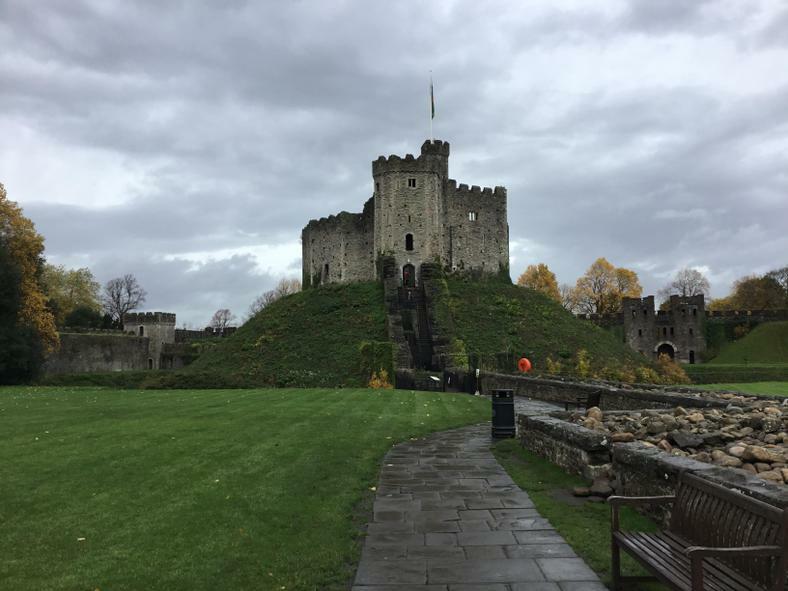 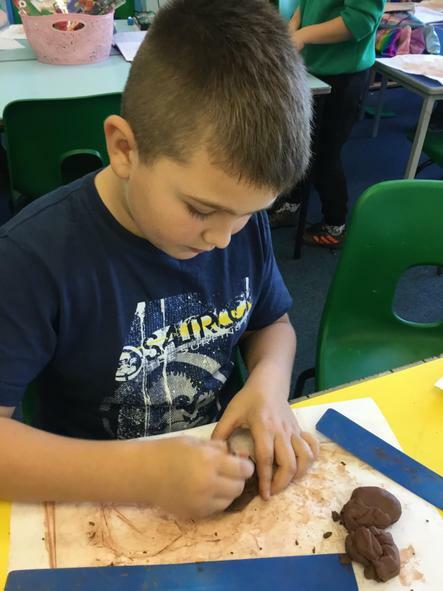 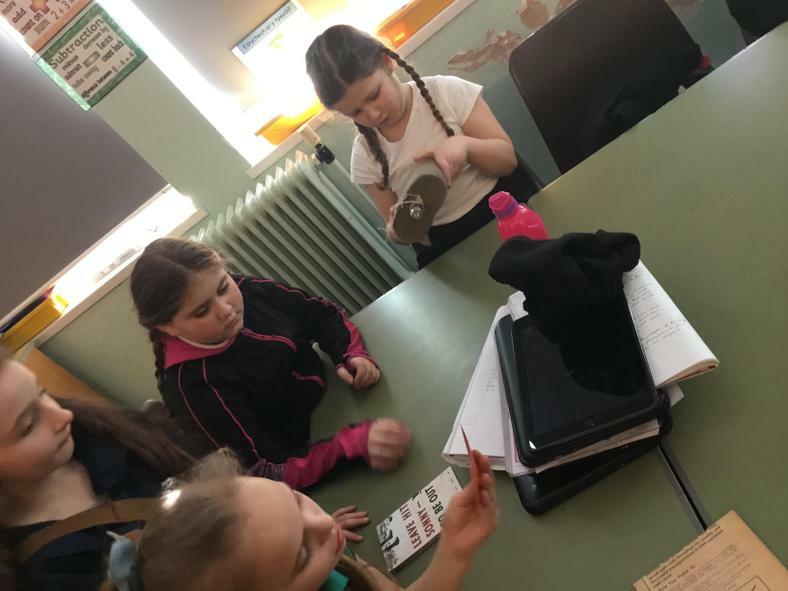 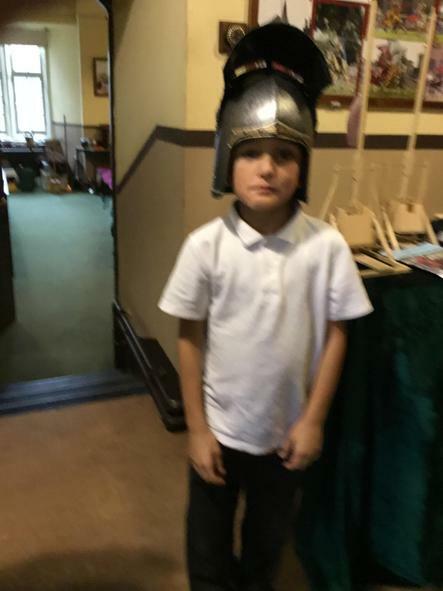 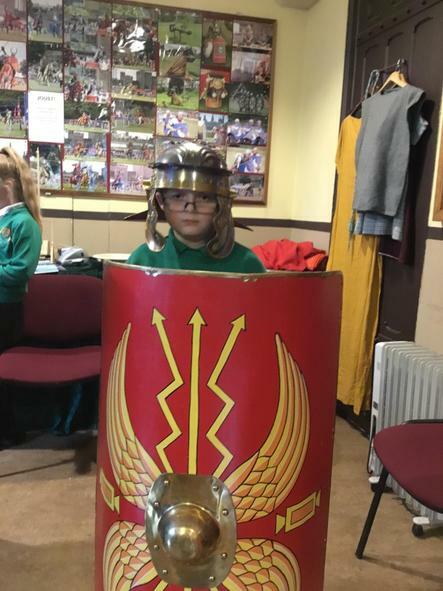 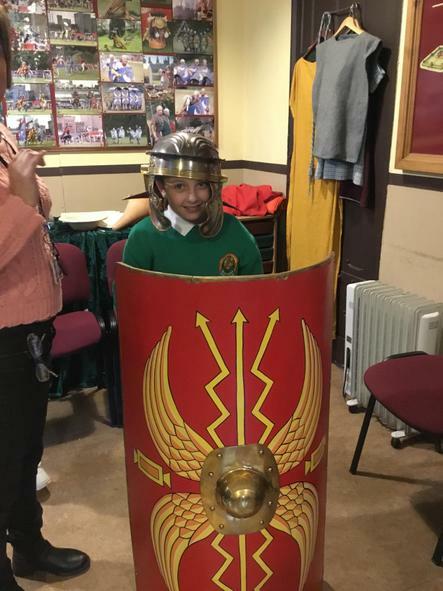 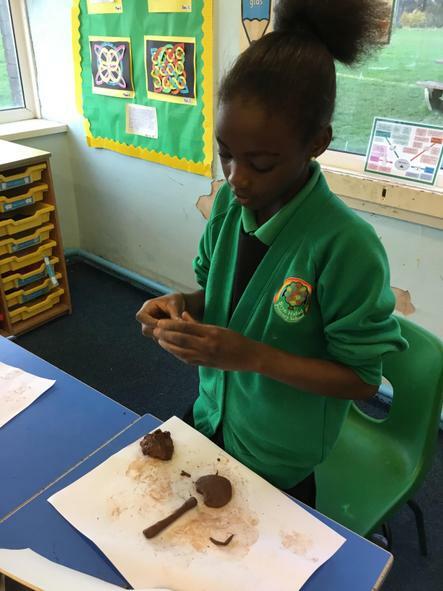 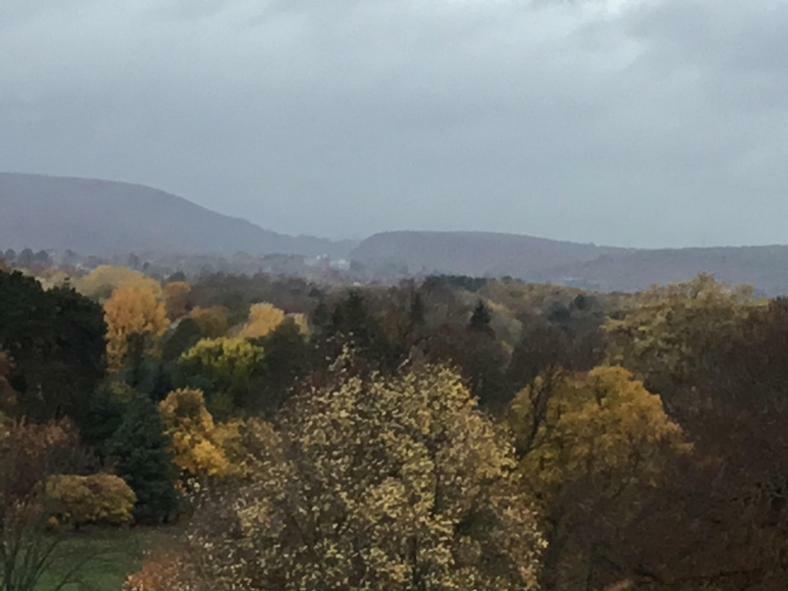 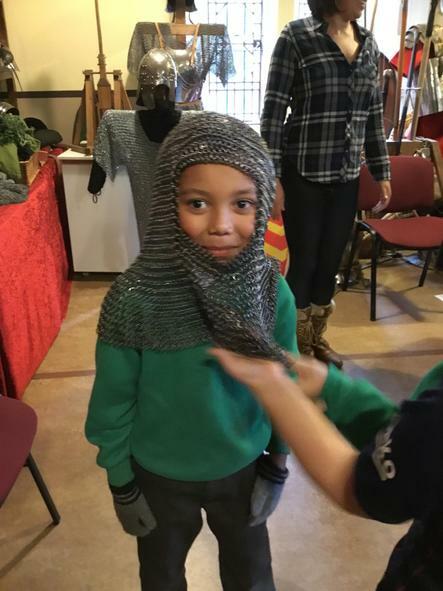 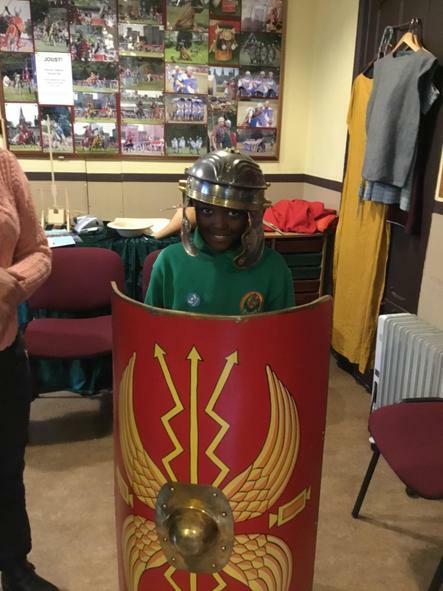 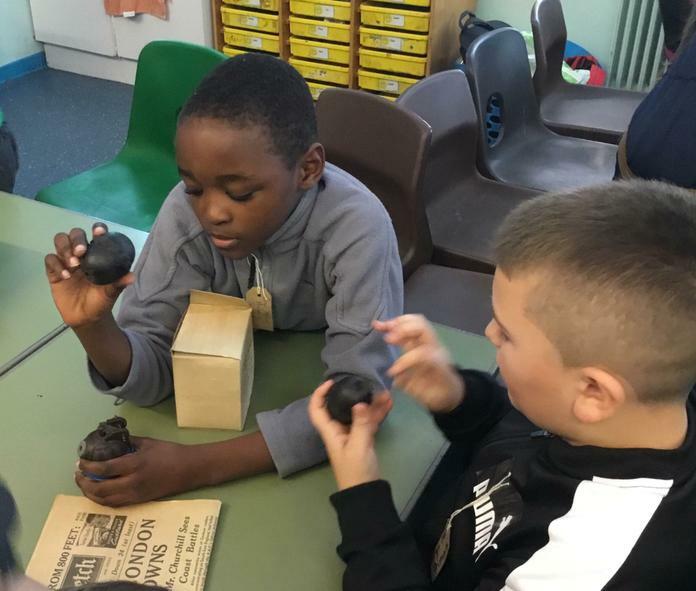 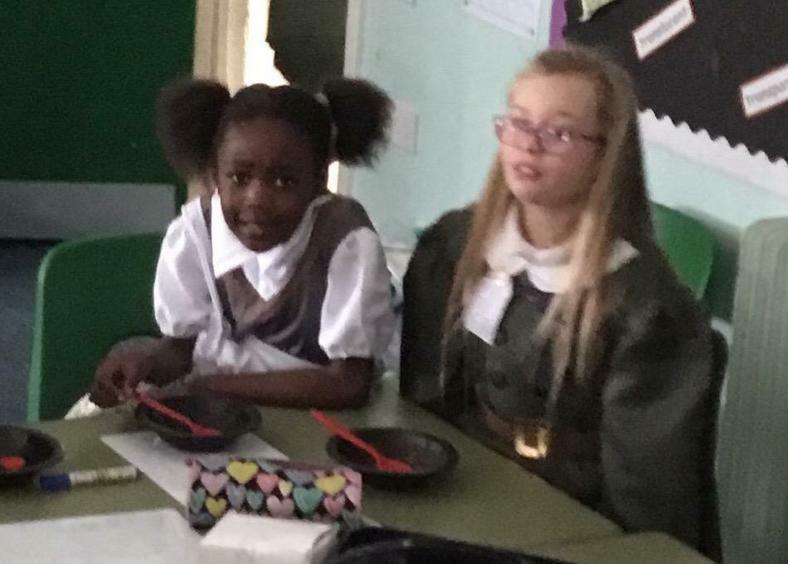 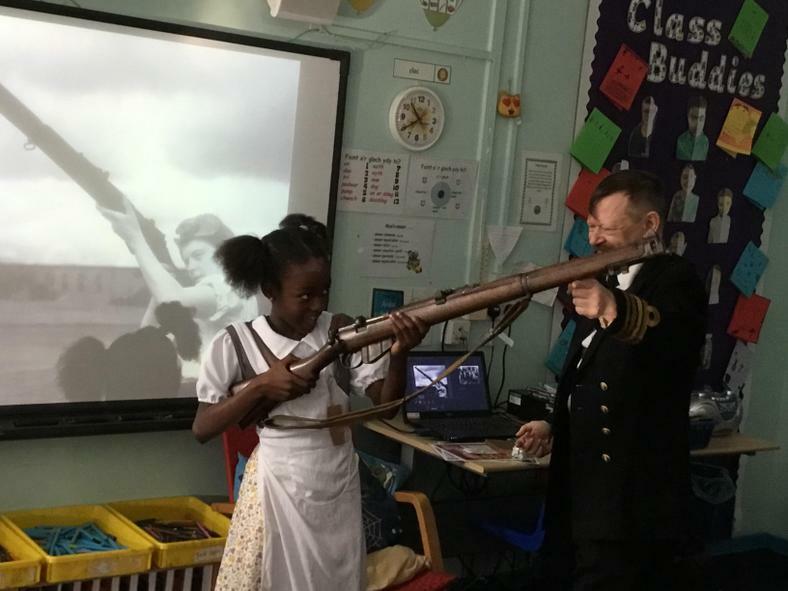 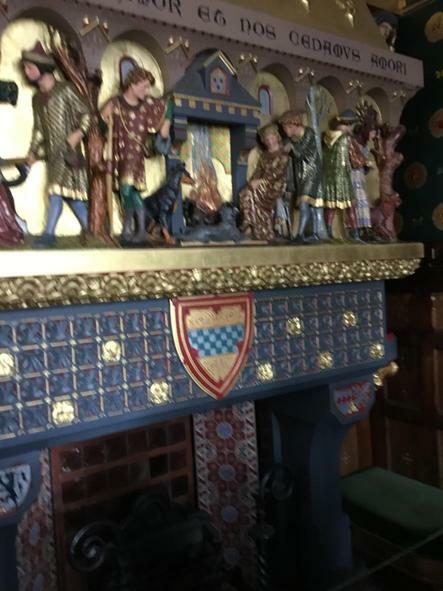 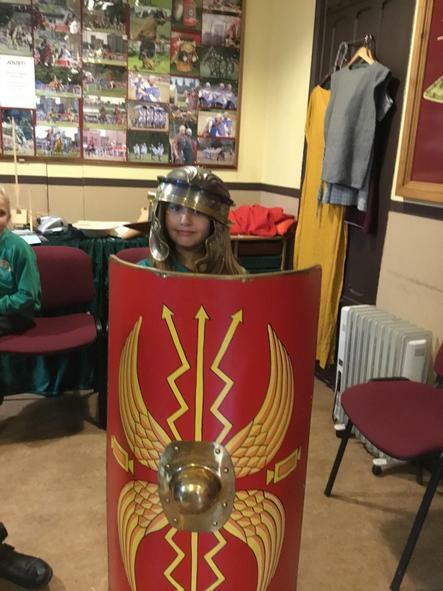 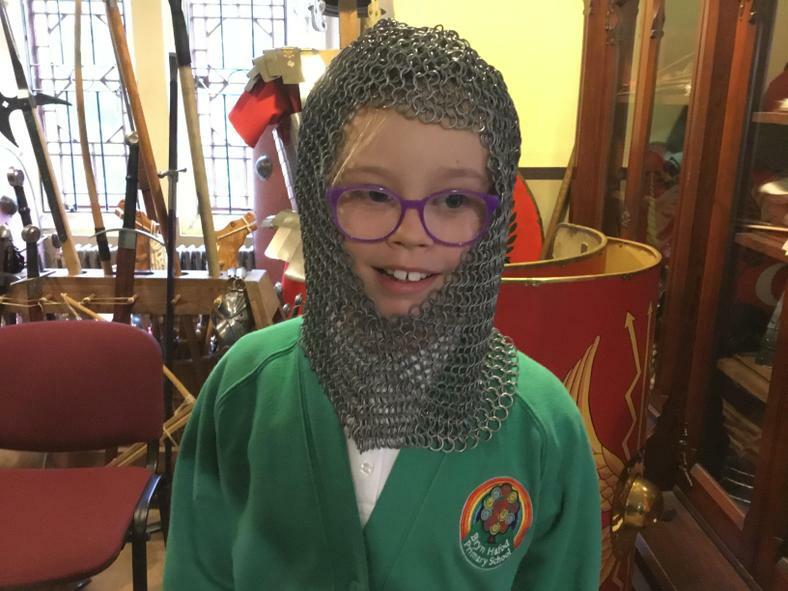 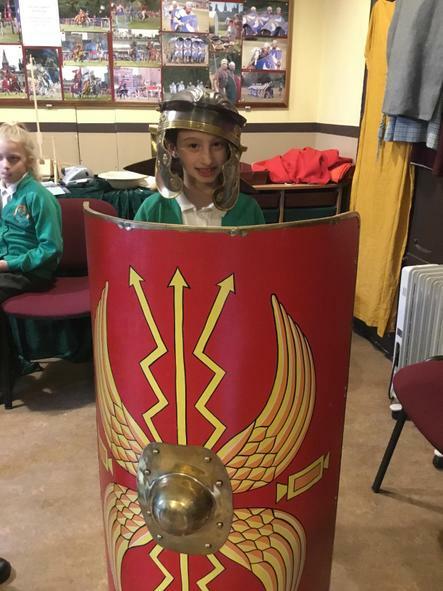 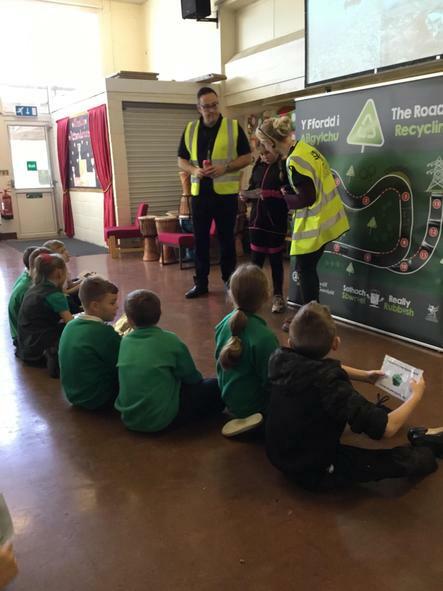 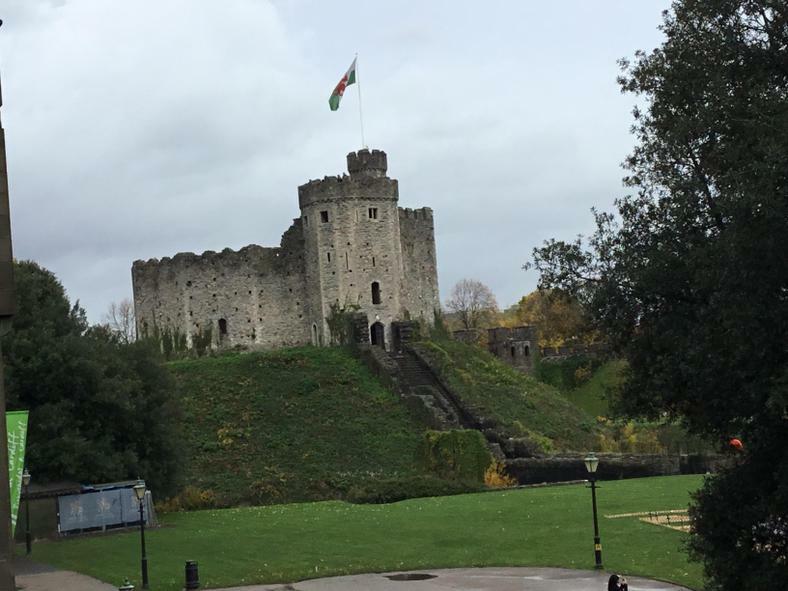 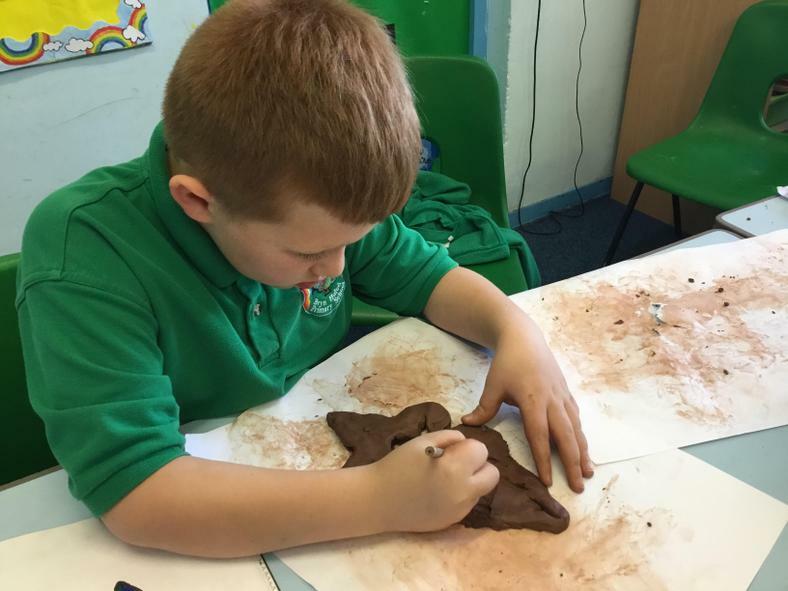 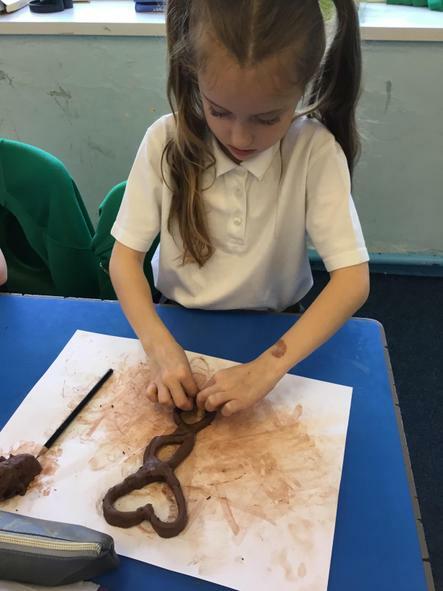 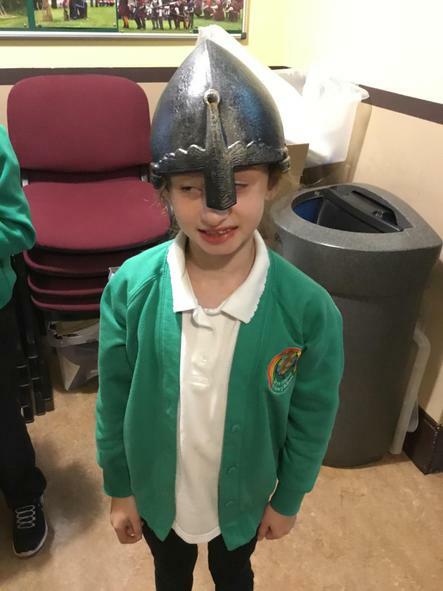 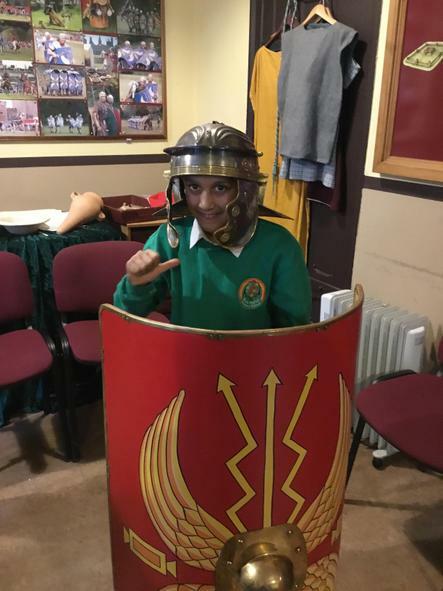 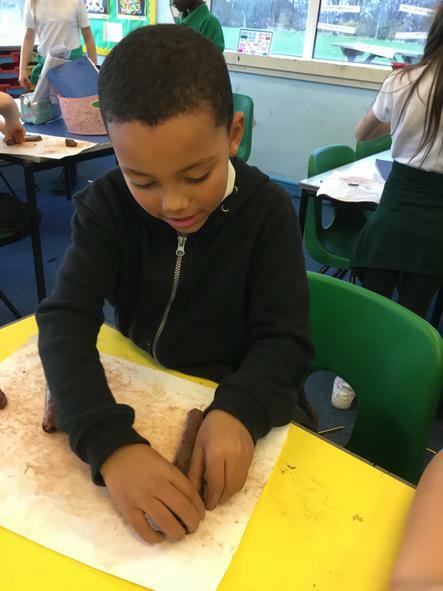 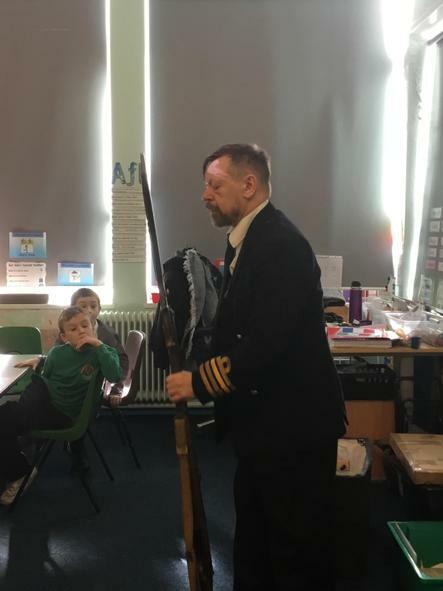 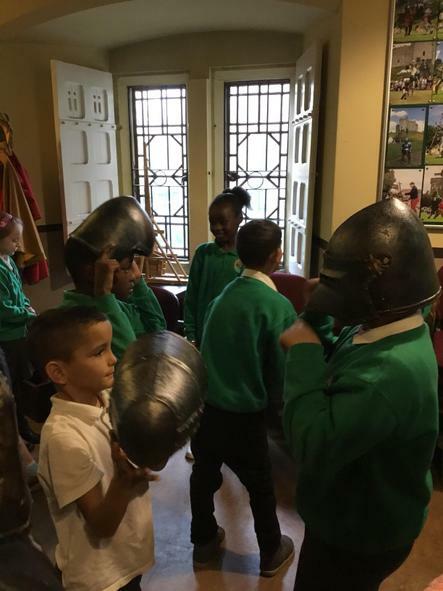 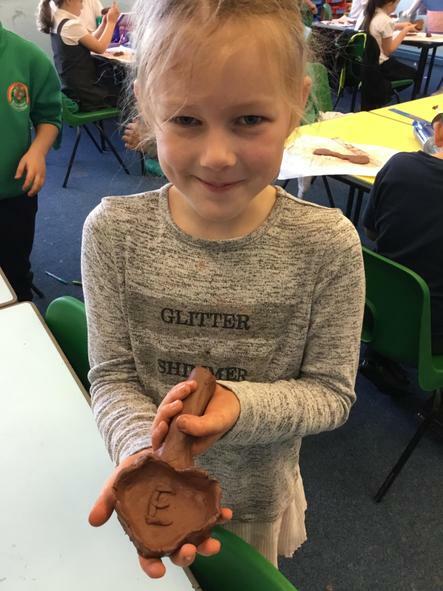 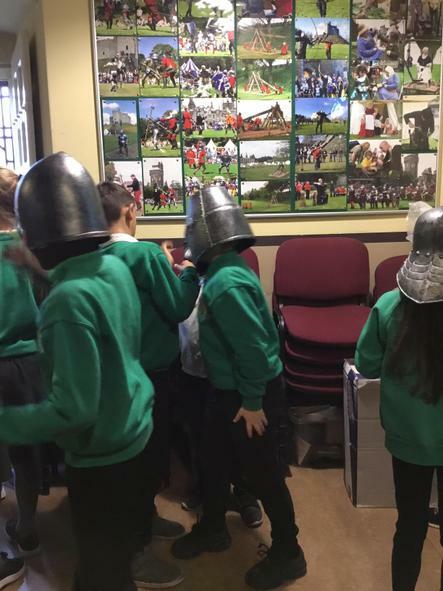 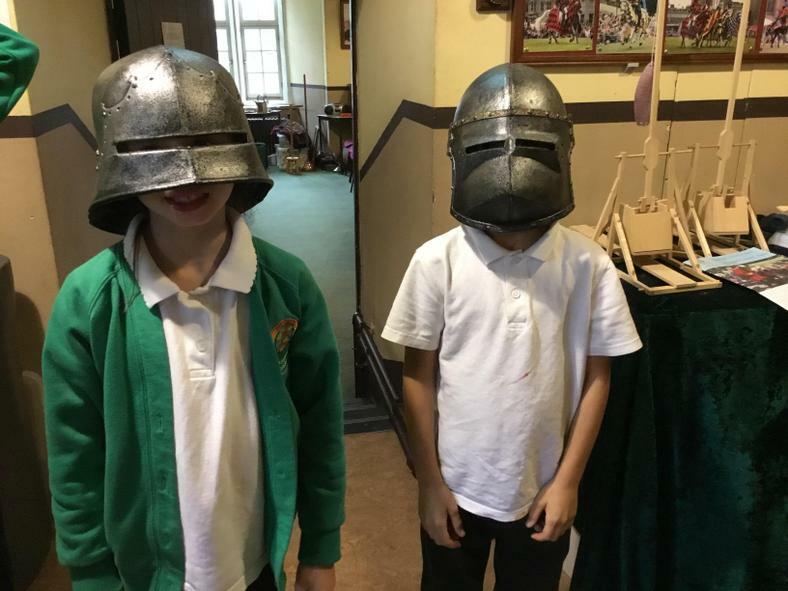 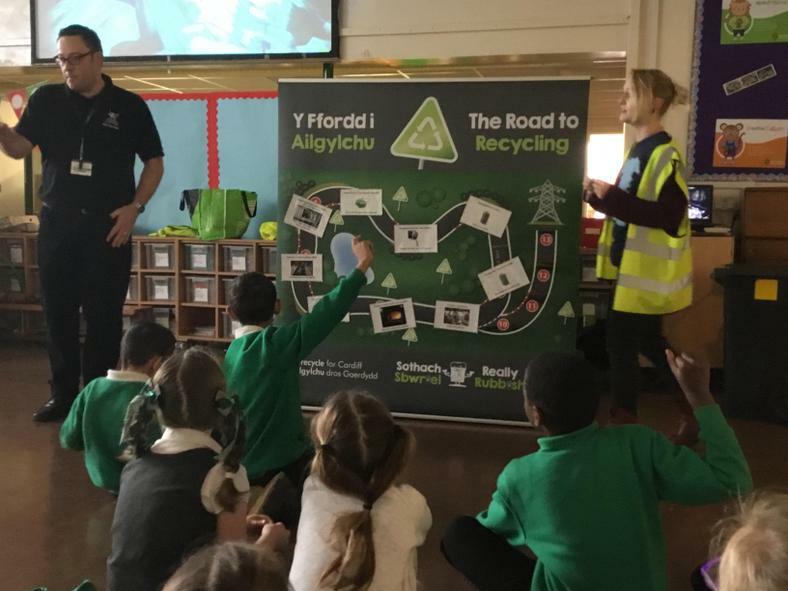 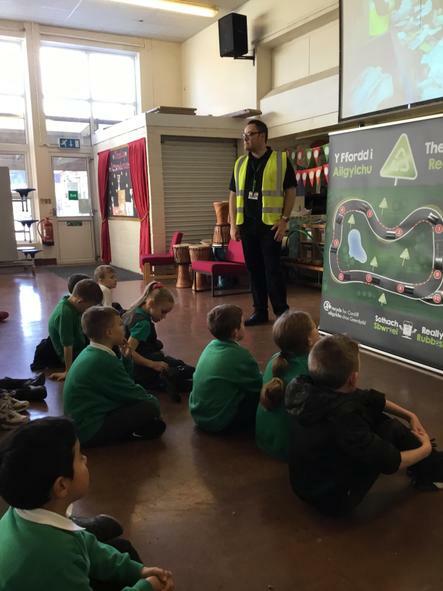 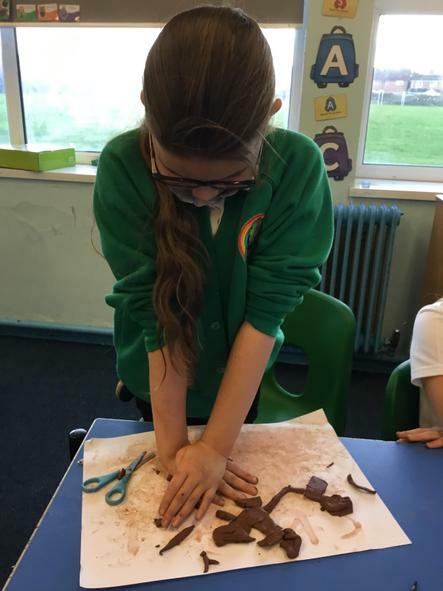 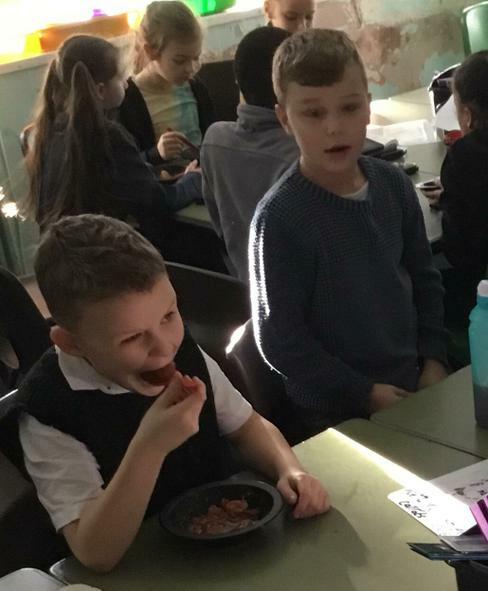 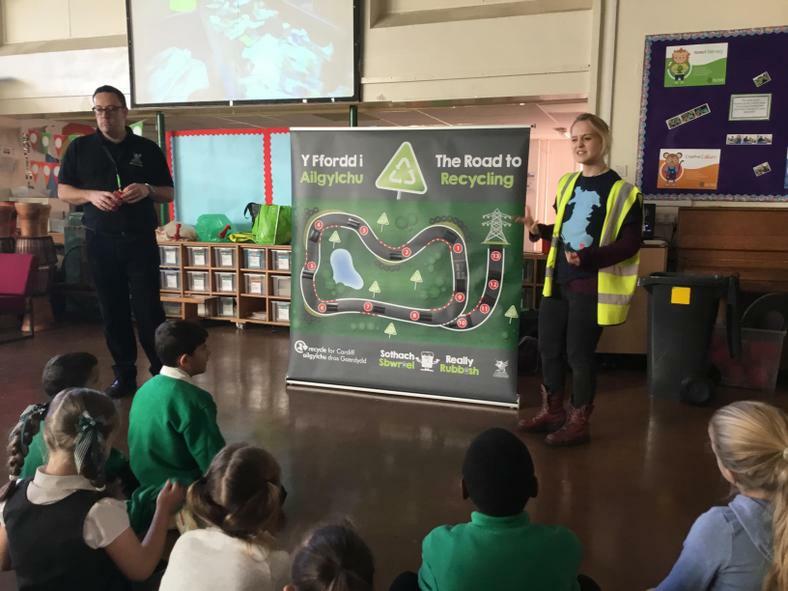 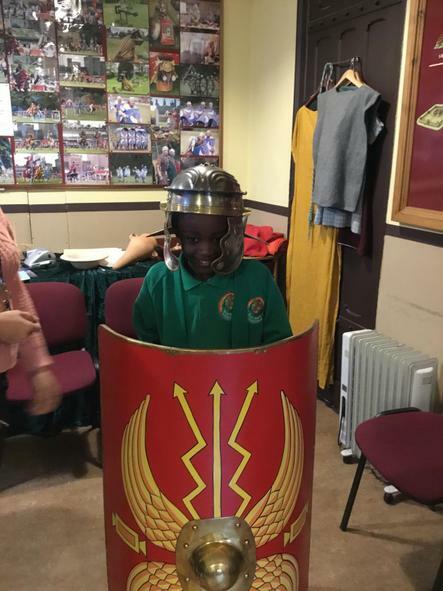 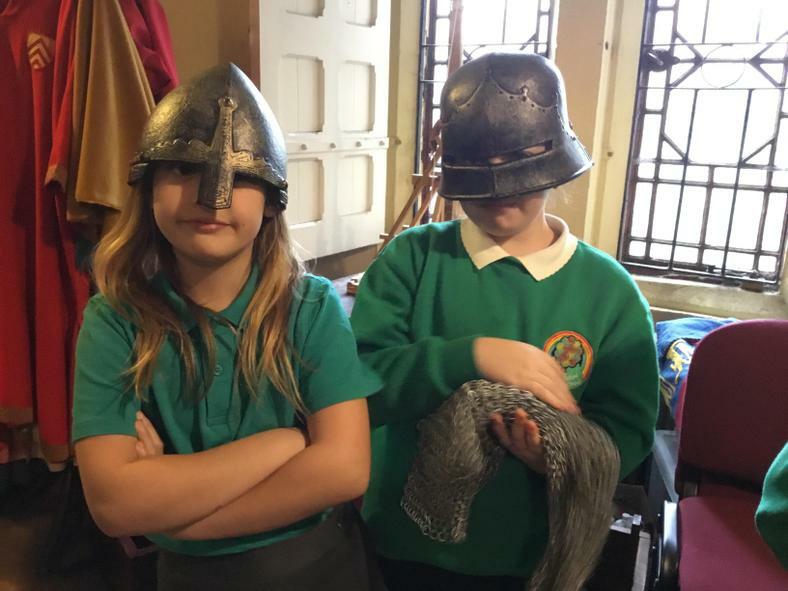 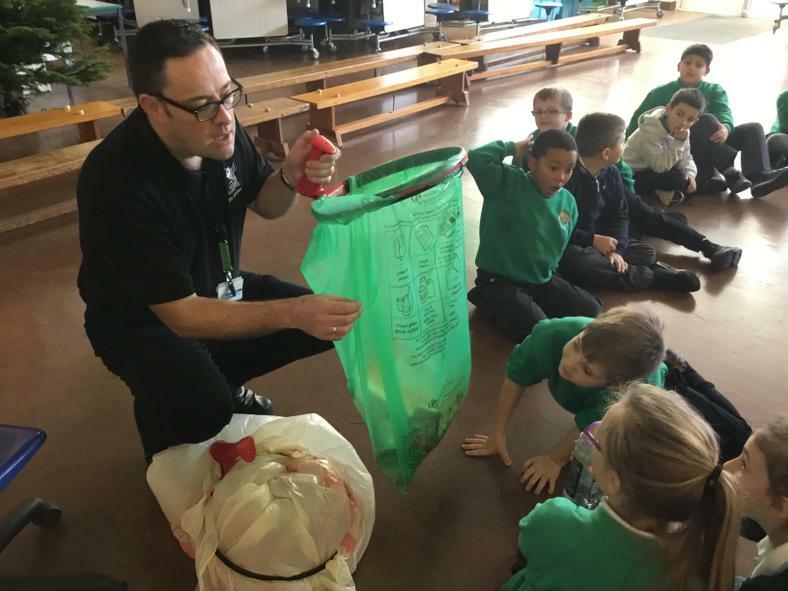 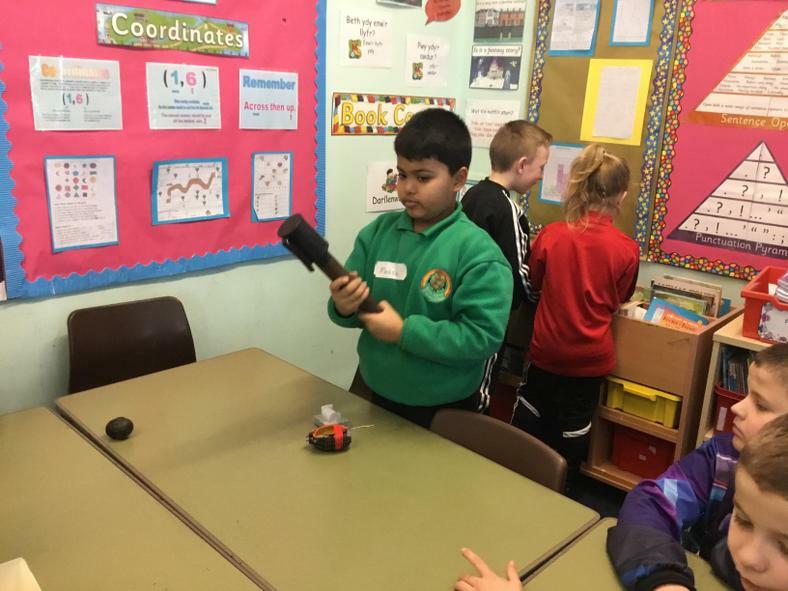 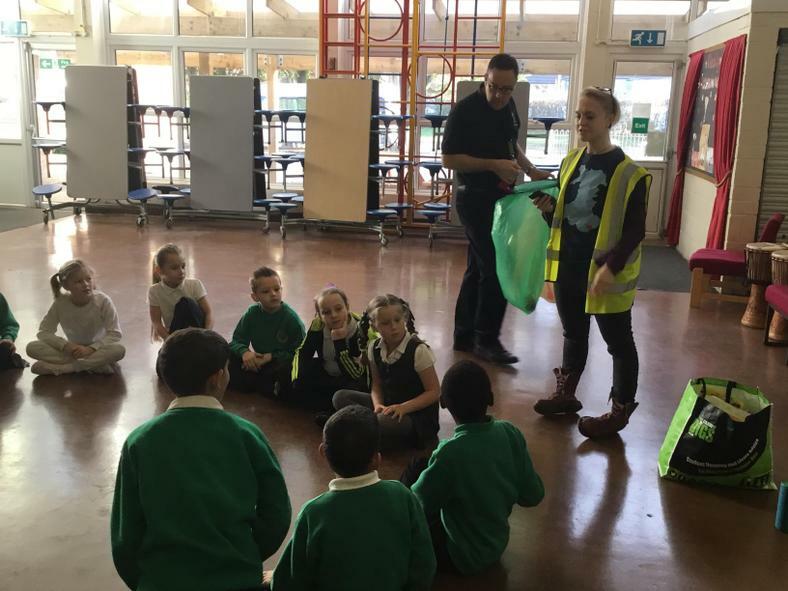 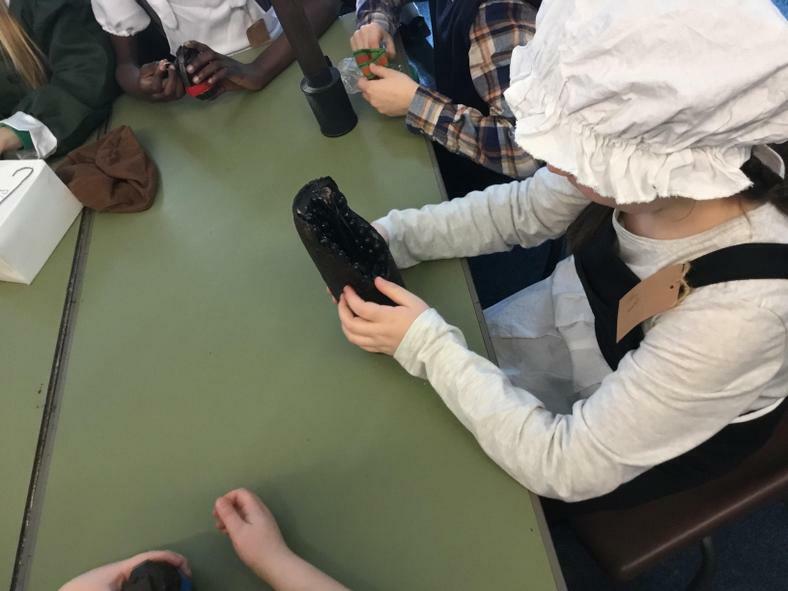 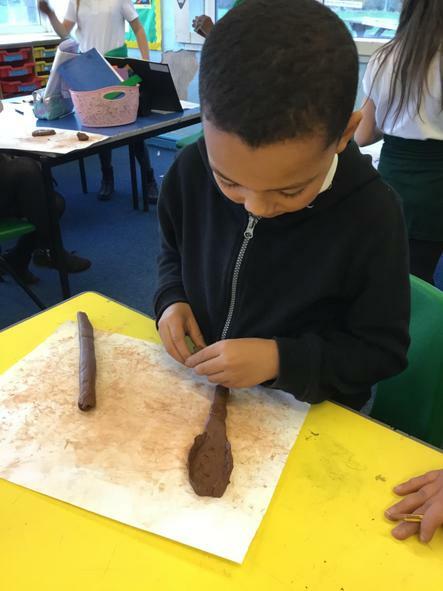 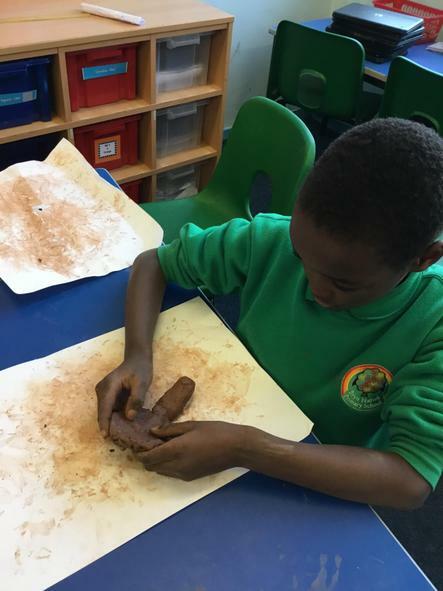 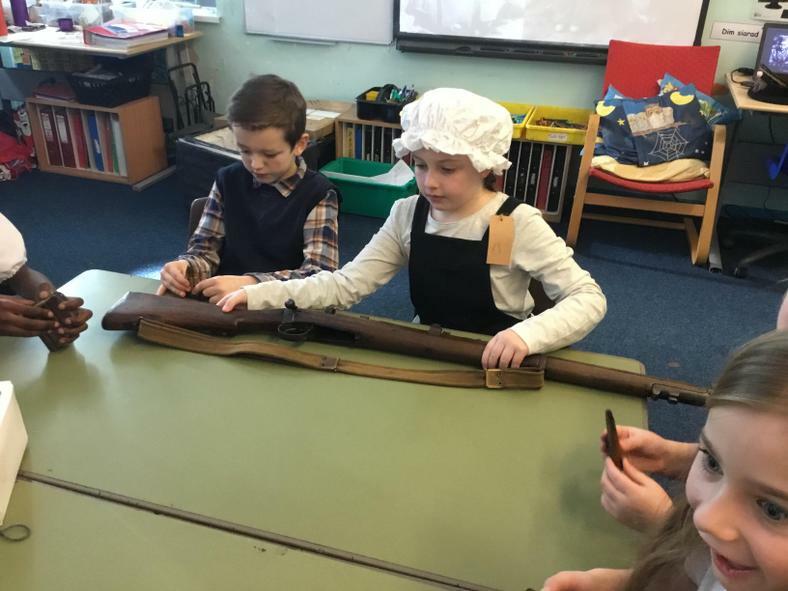 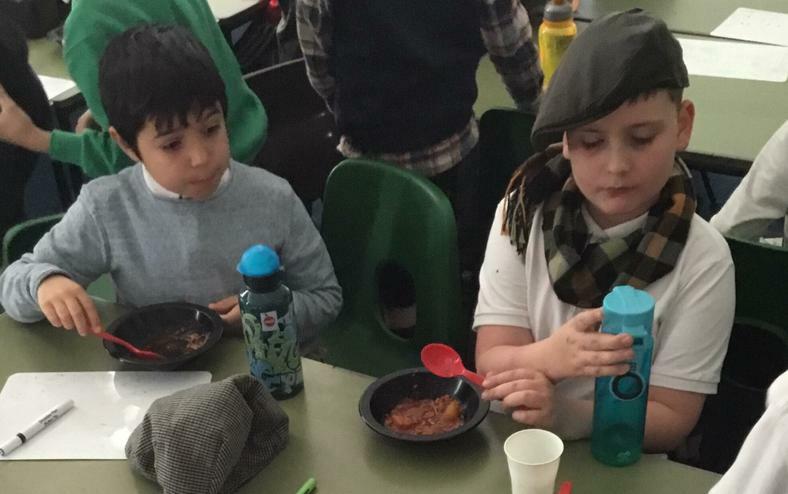 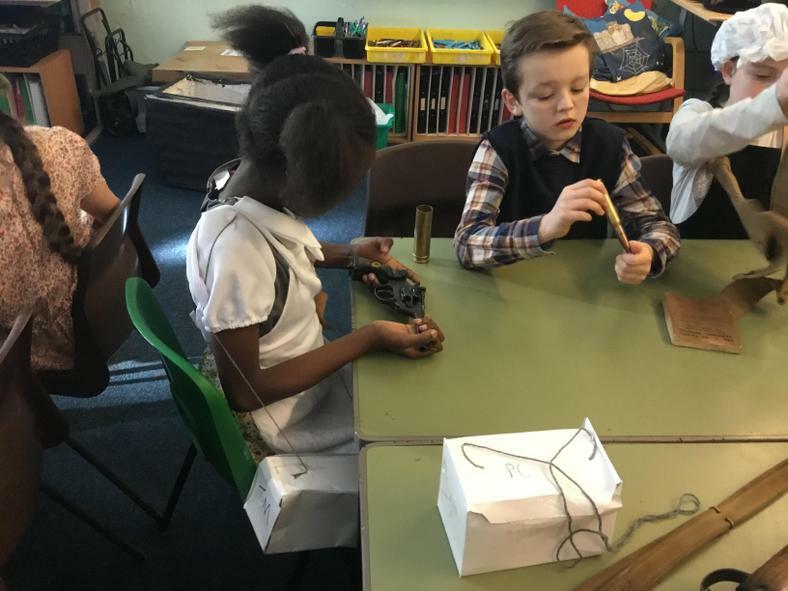 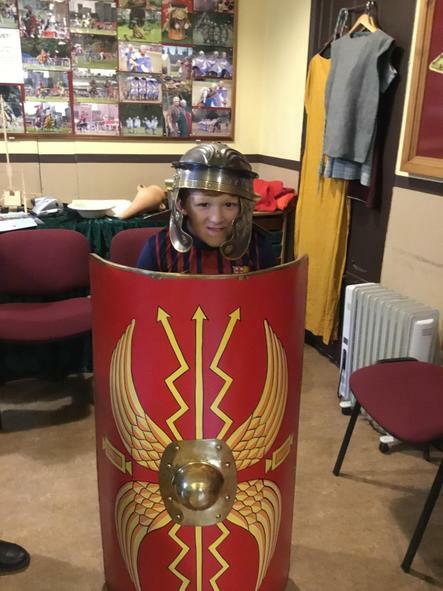 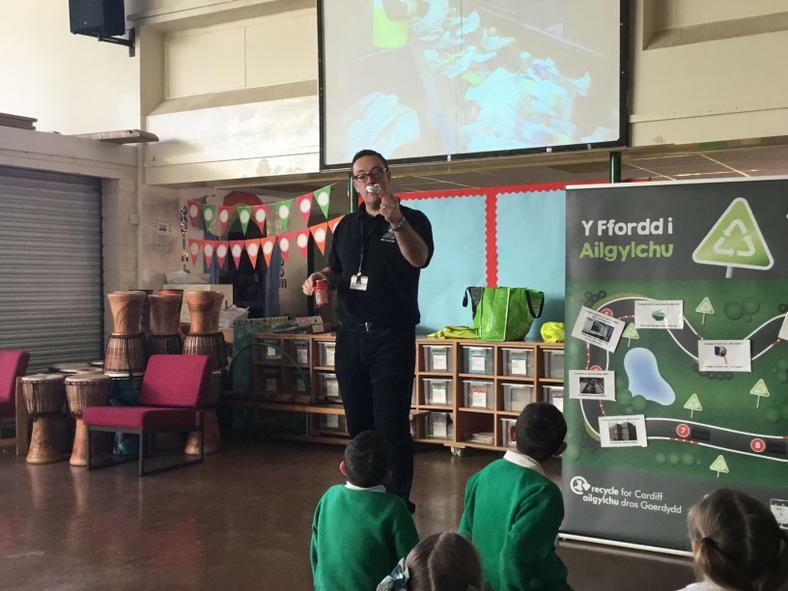 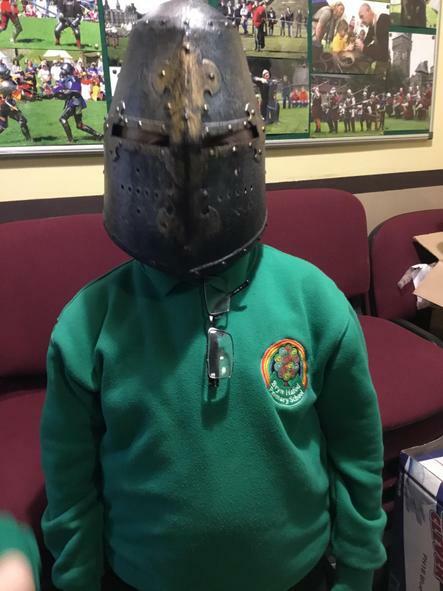 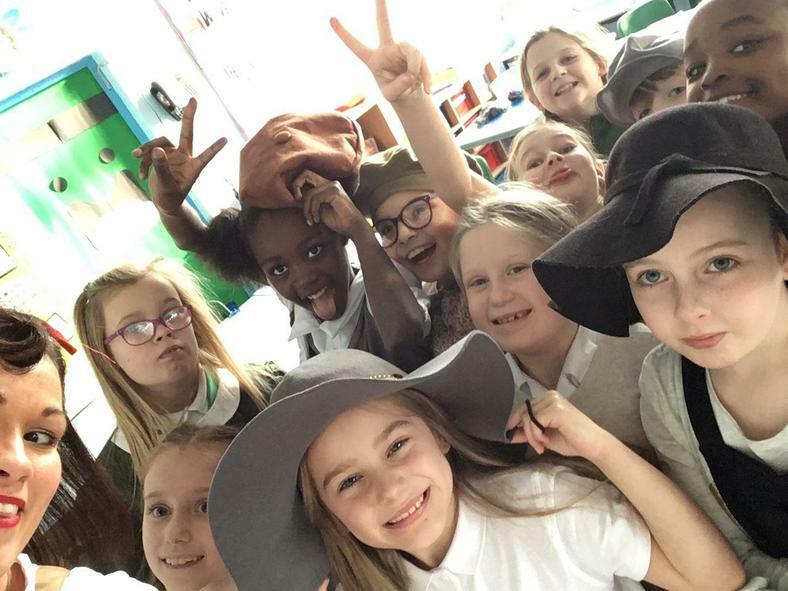 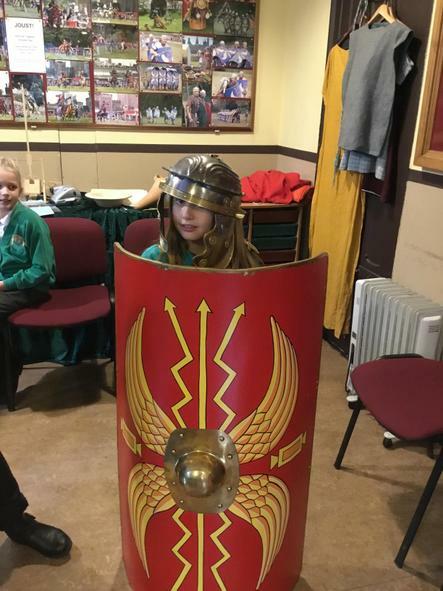 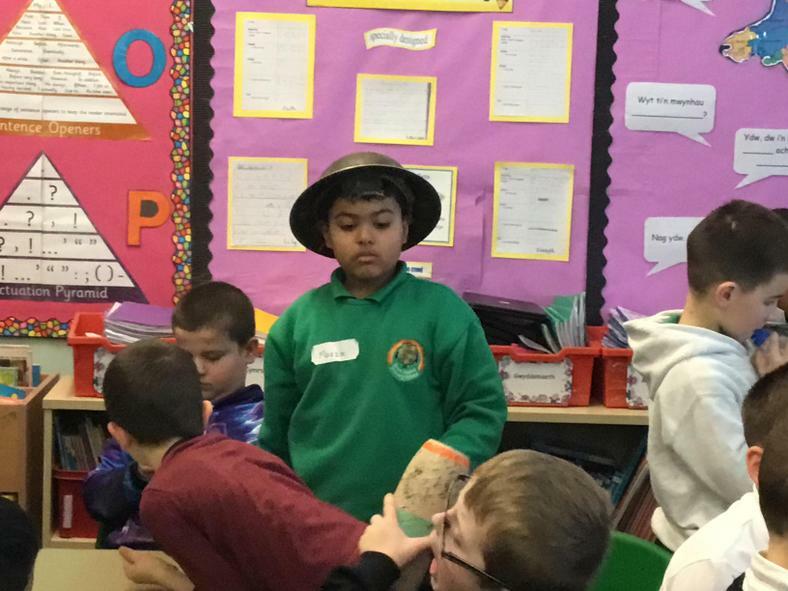 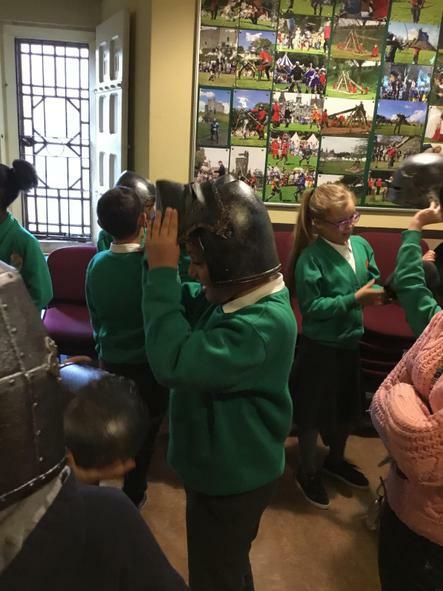 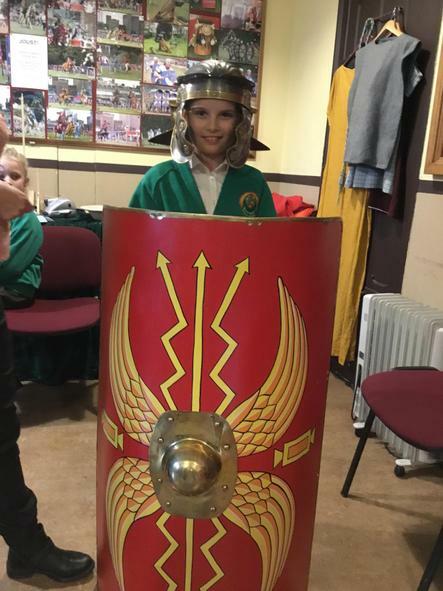 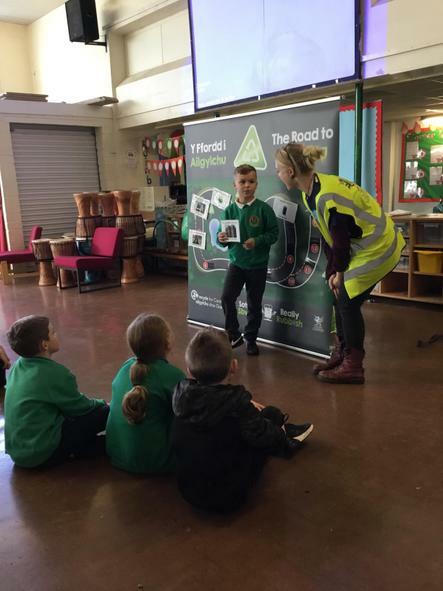 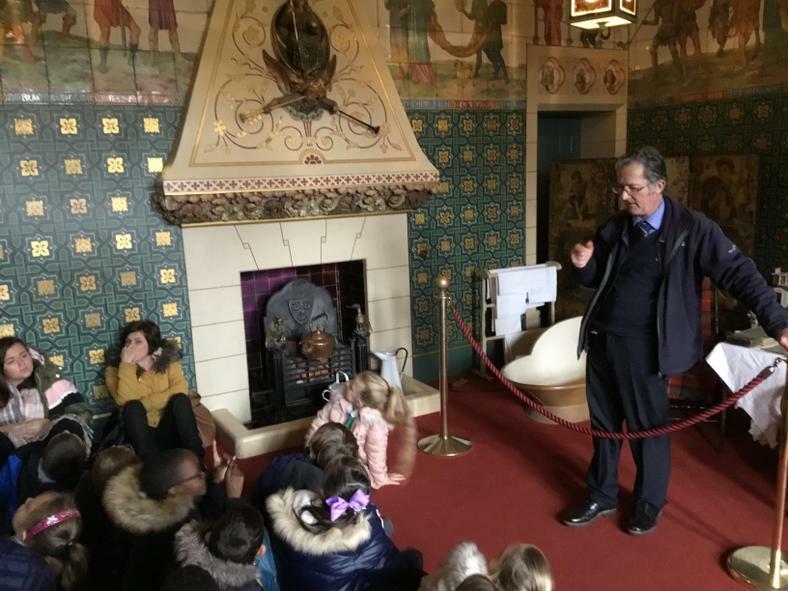 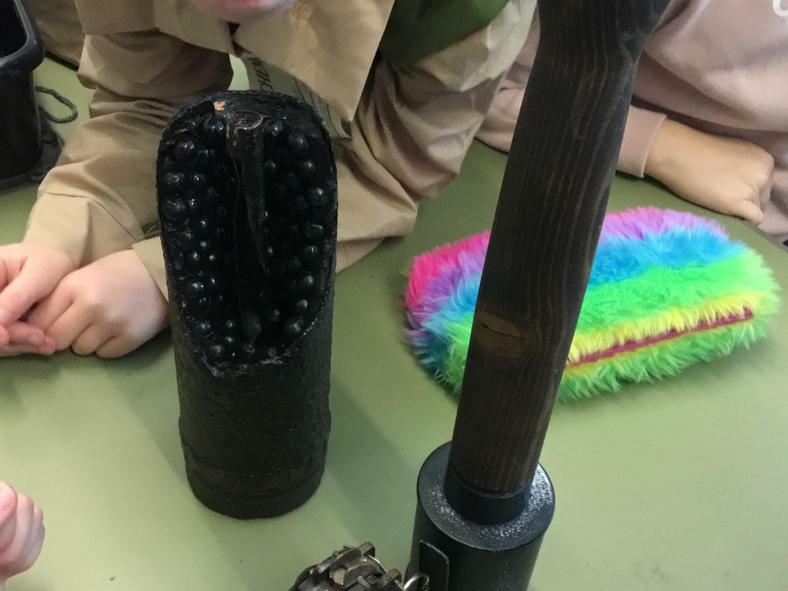 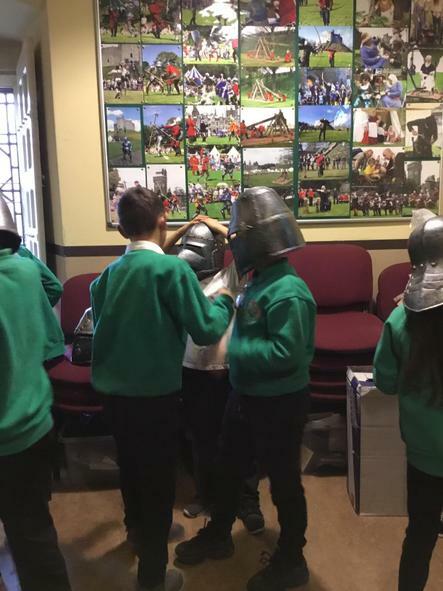 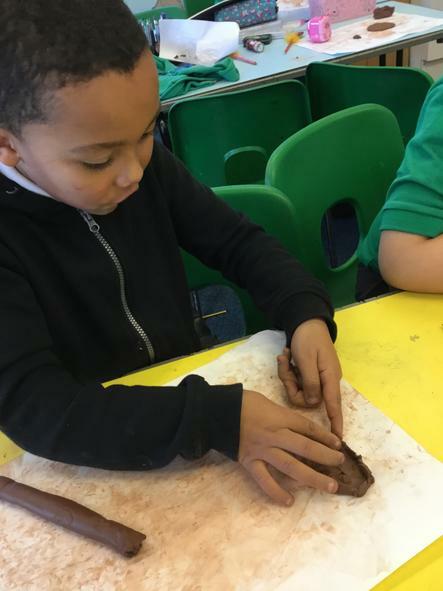 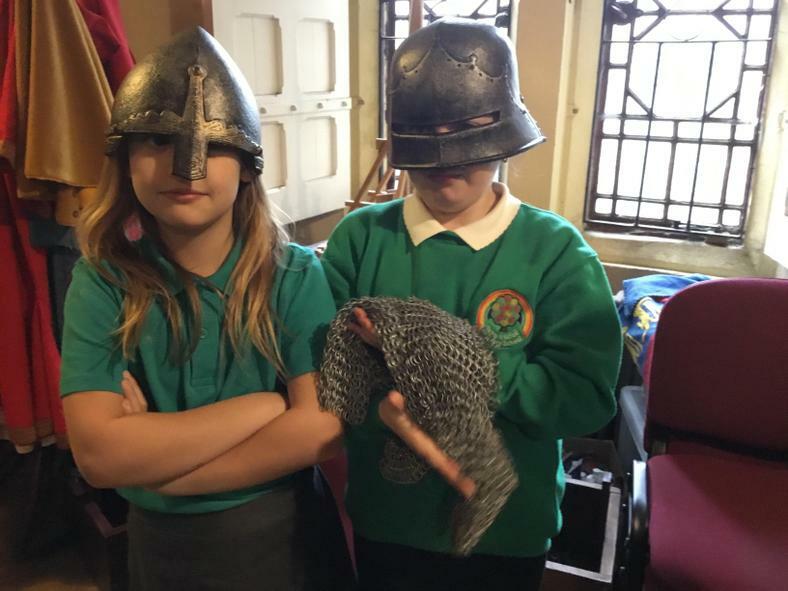 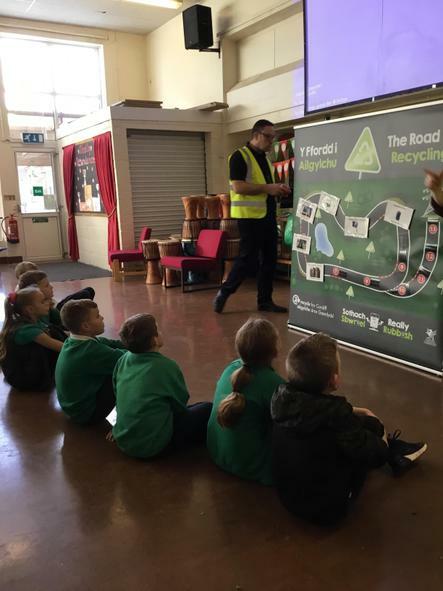 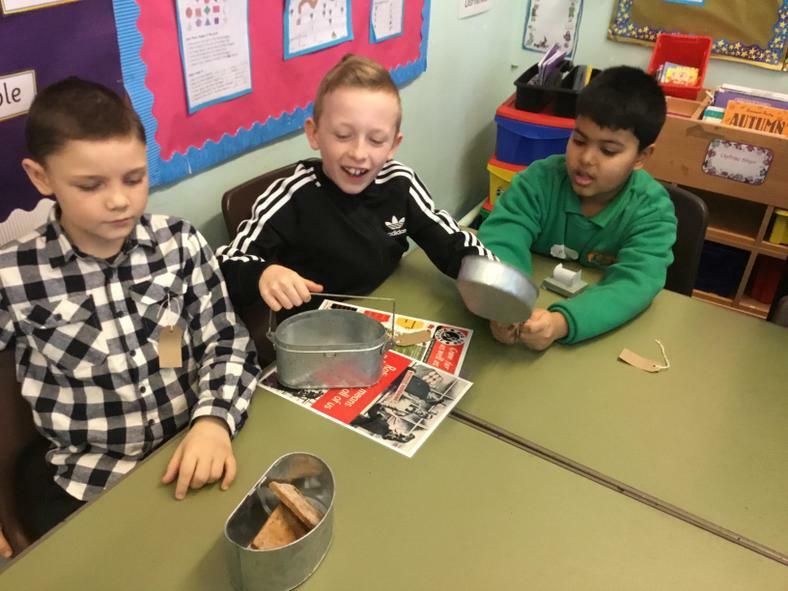 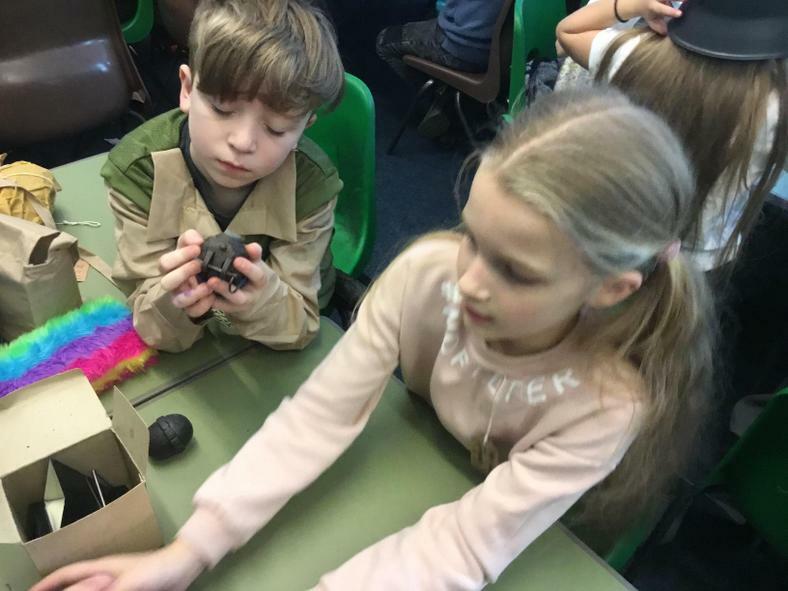 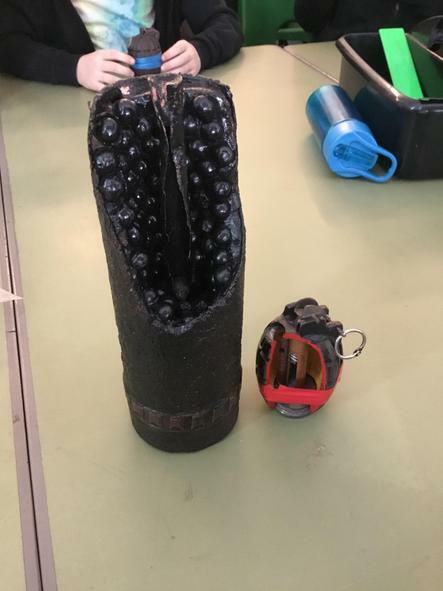 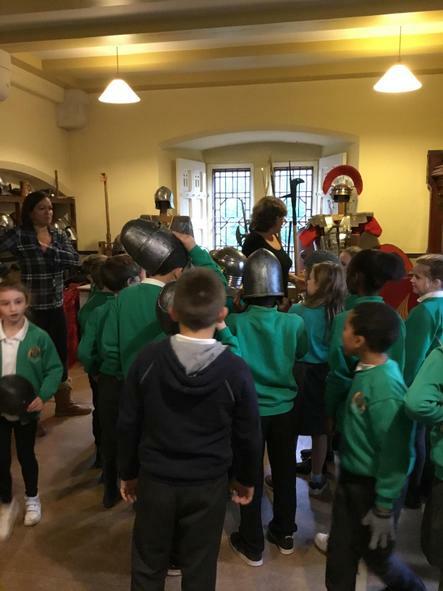 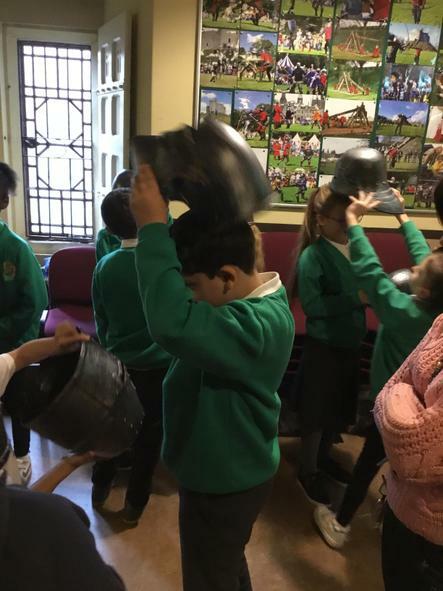 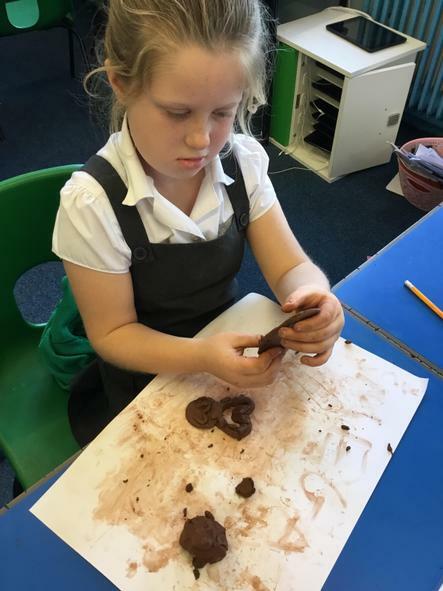 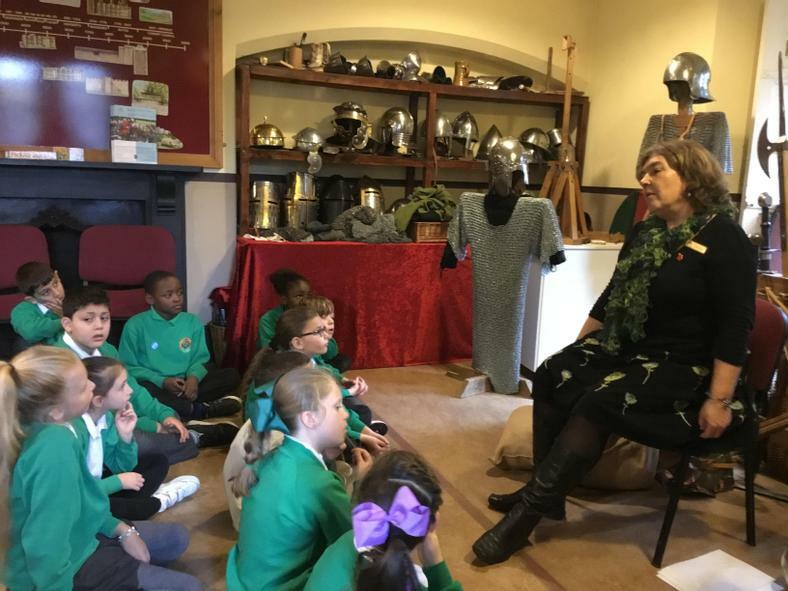 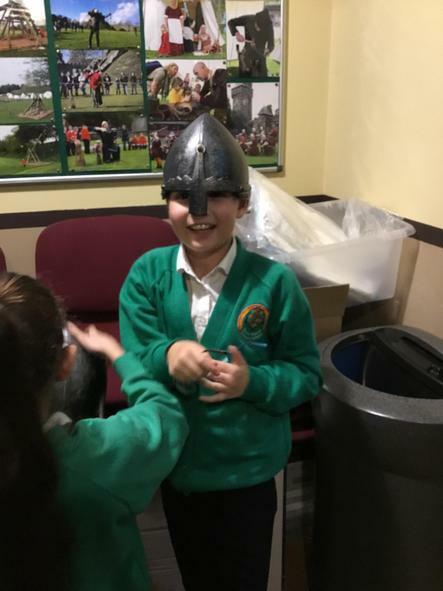 So far this year, children in Year 4 have enjoyed two out-of-school visits (St. Fagan's Natural History Museum and Cardiff Castle), participated in Forest Schools and taken part in African drumming sessions! 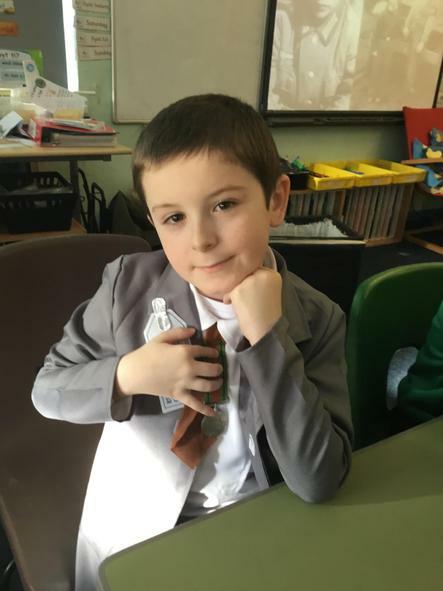 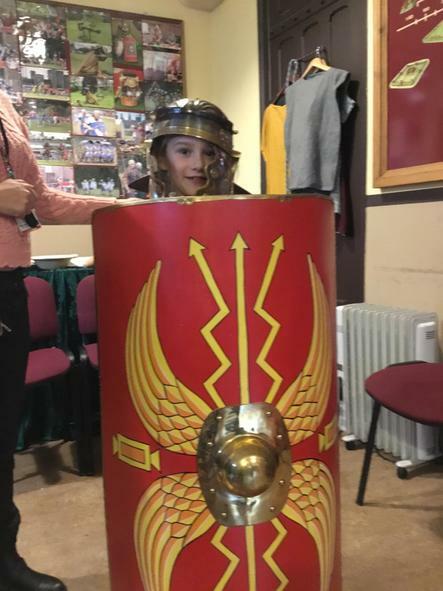 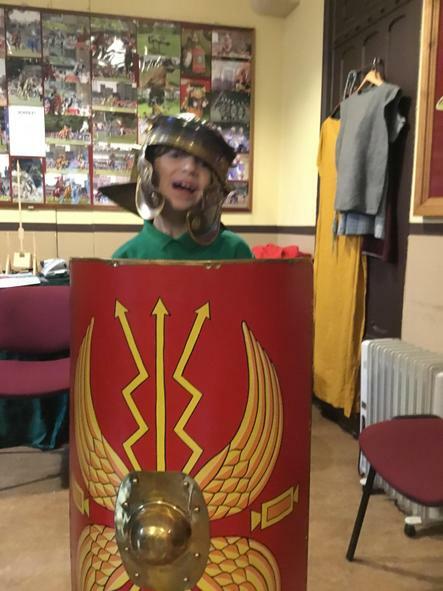 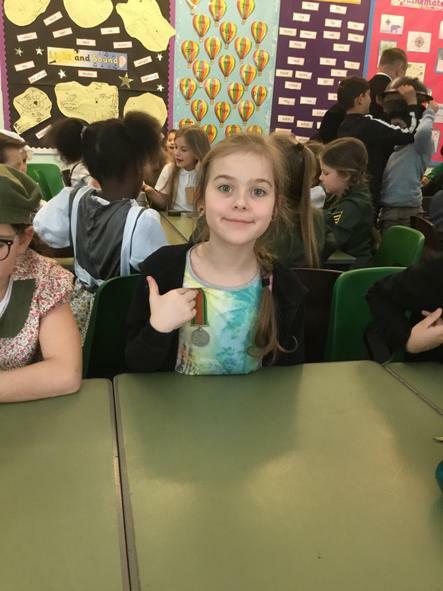 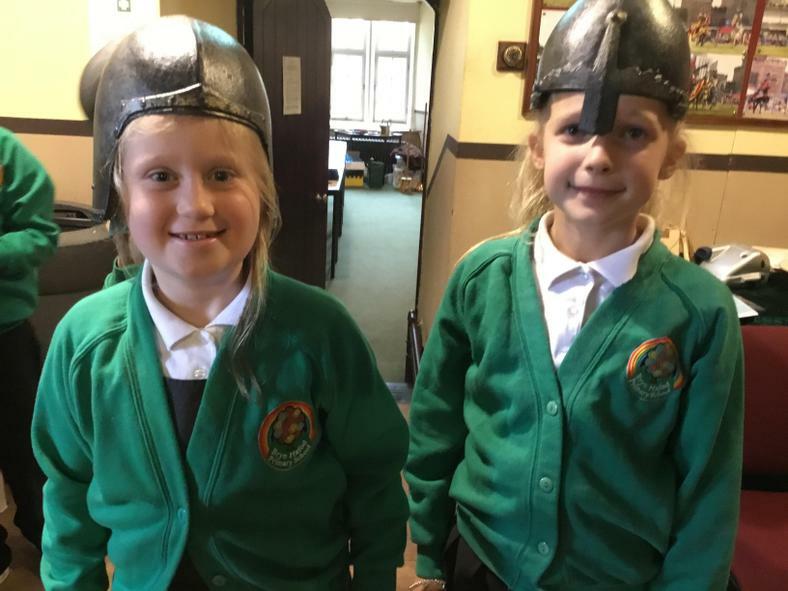 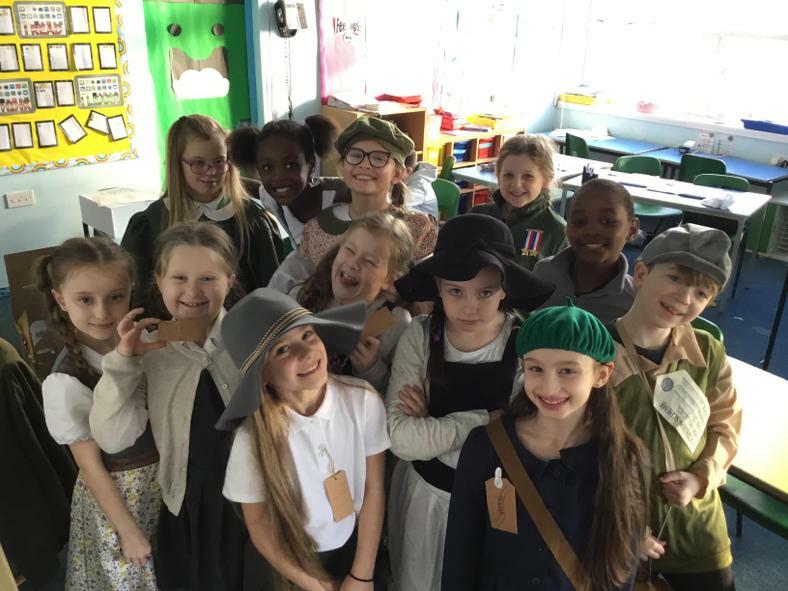 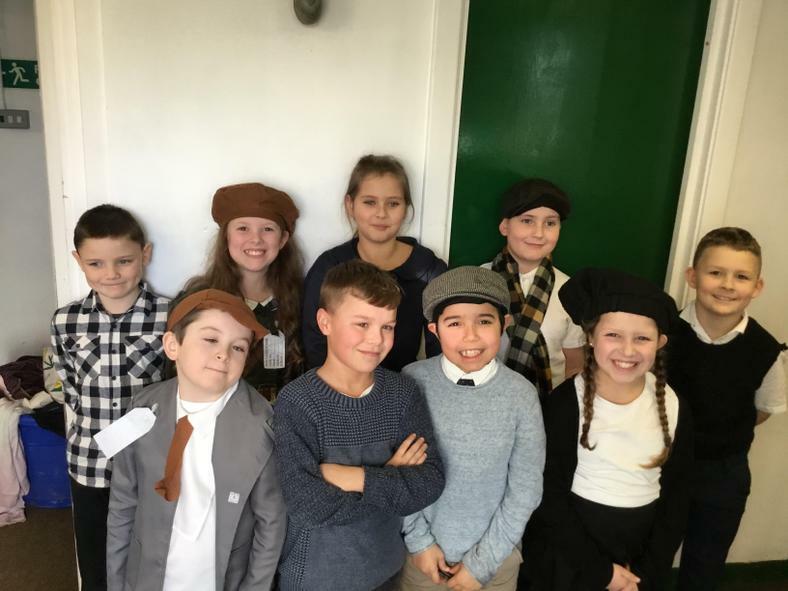 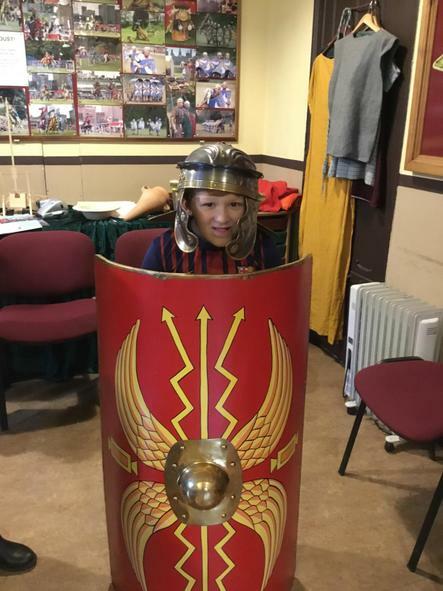 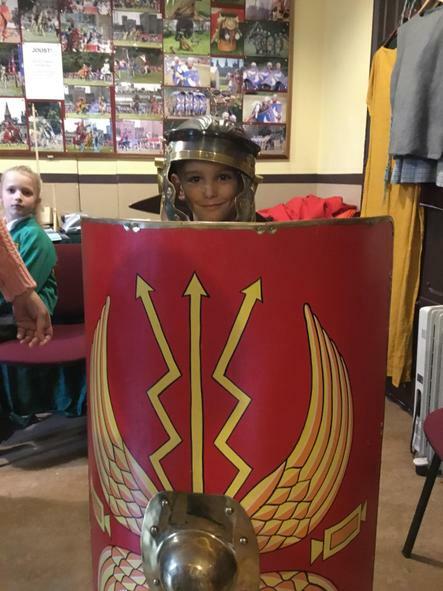 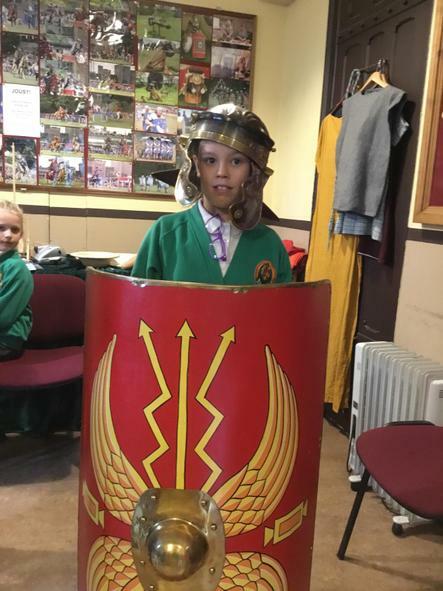 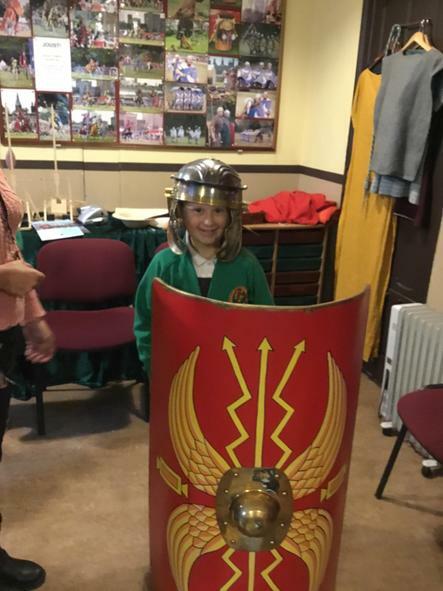 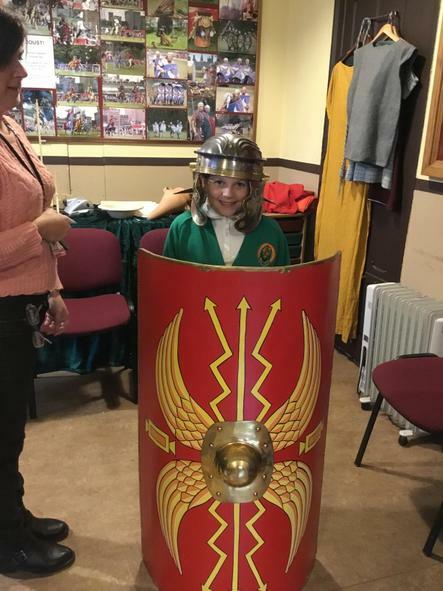 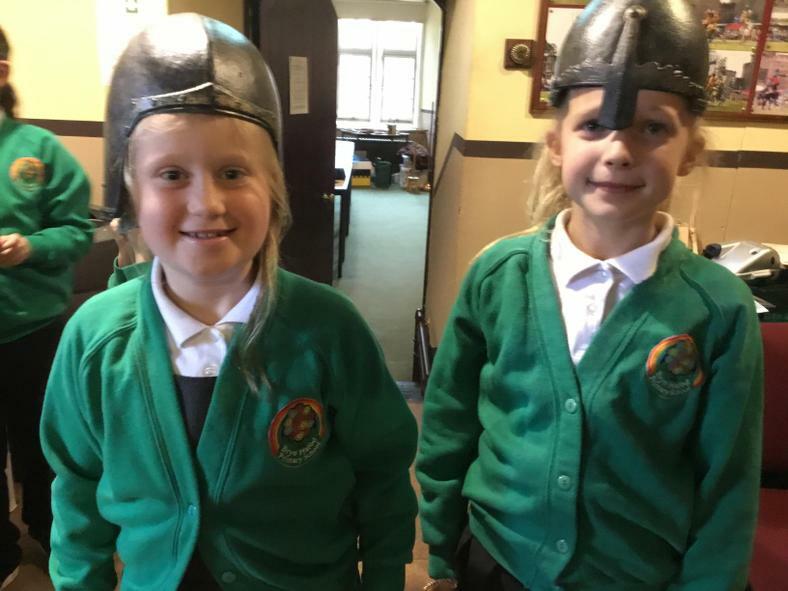 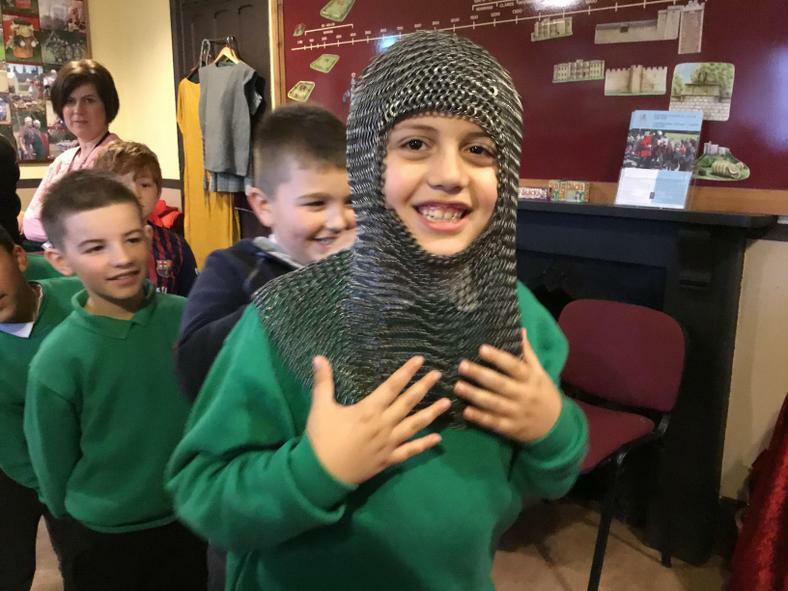 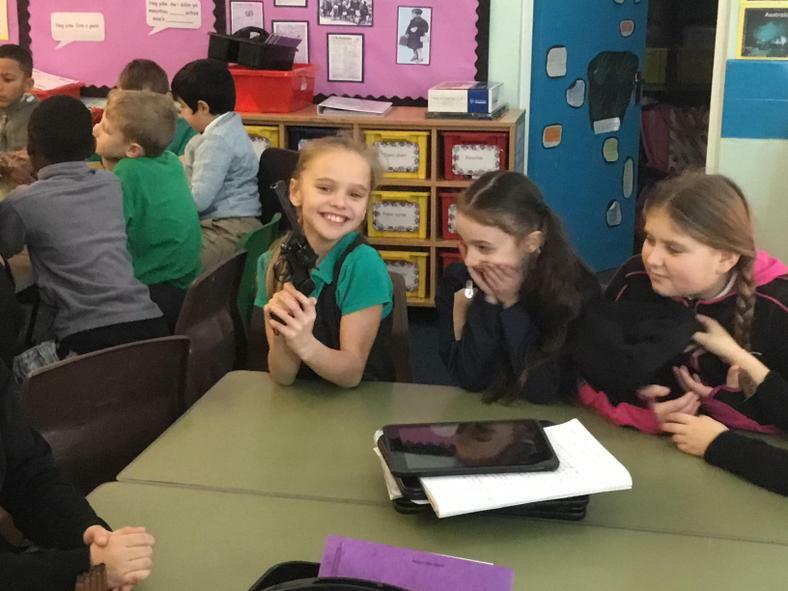 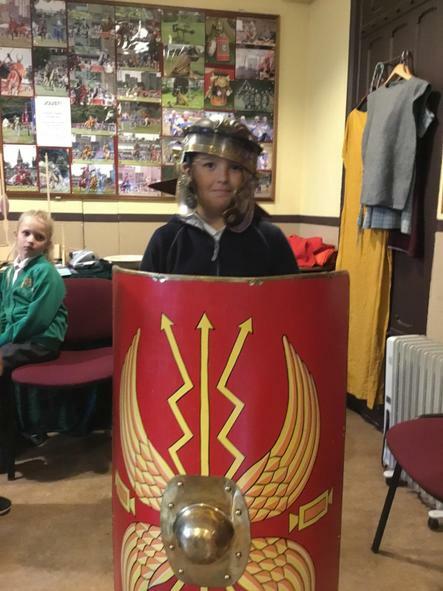 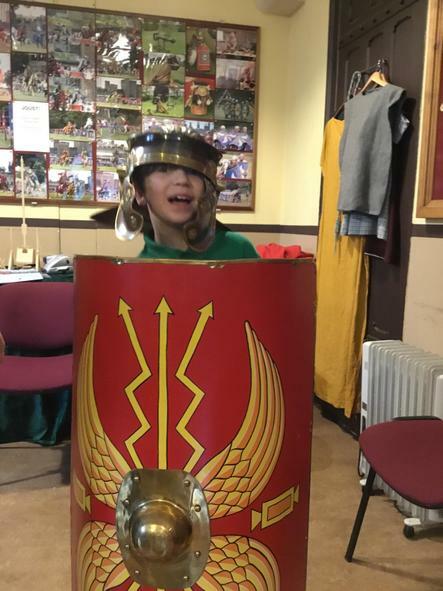 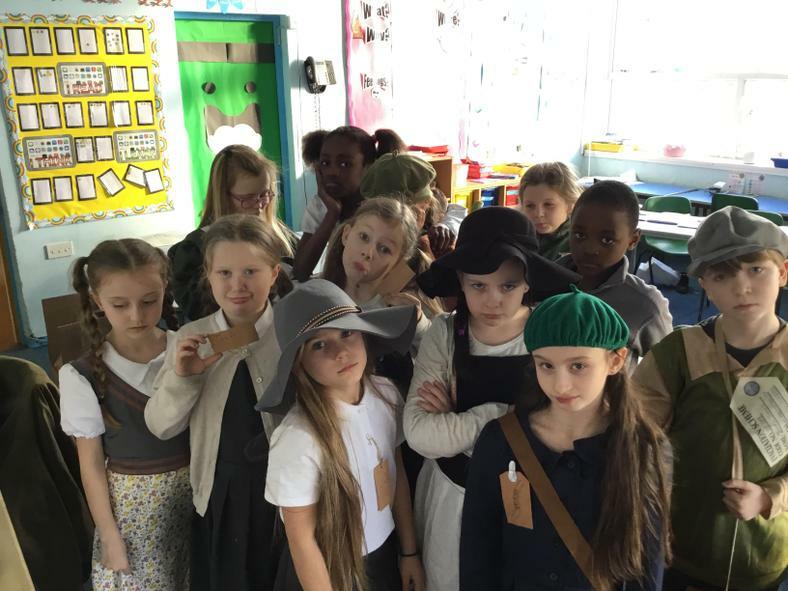 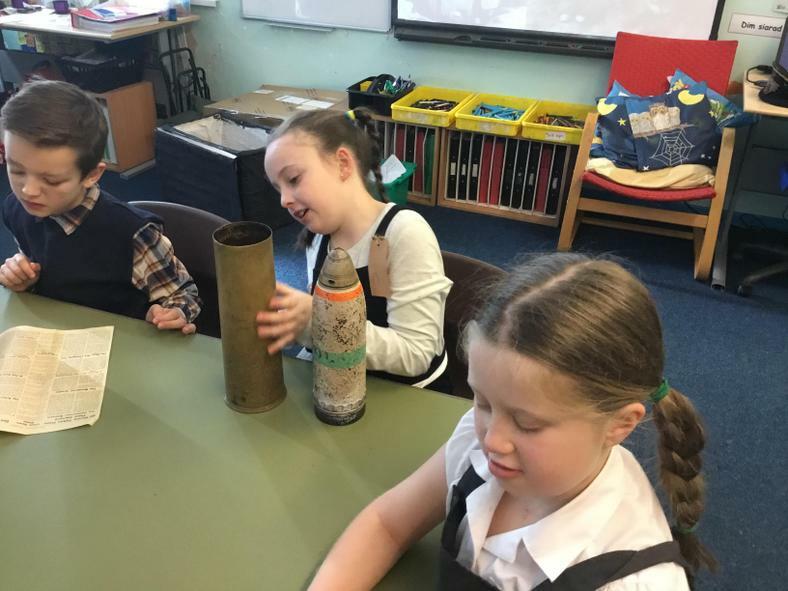 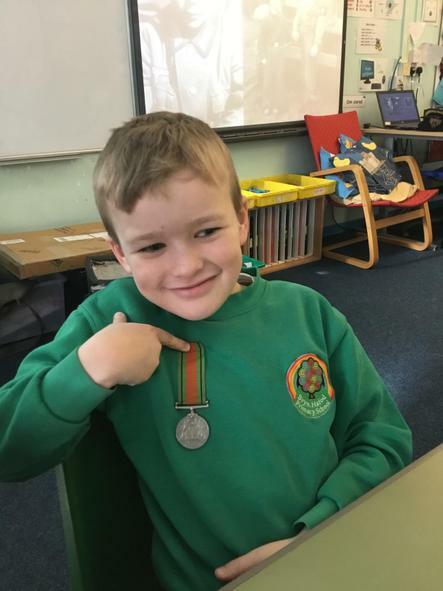 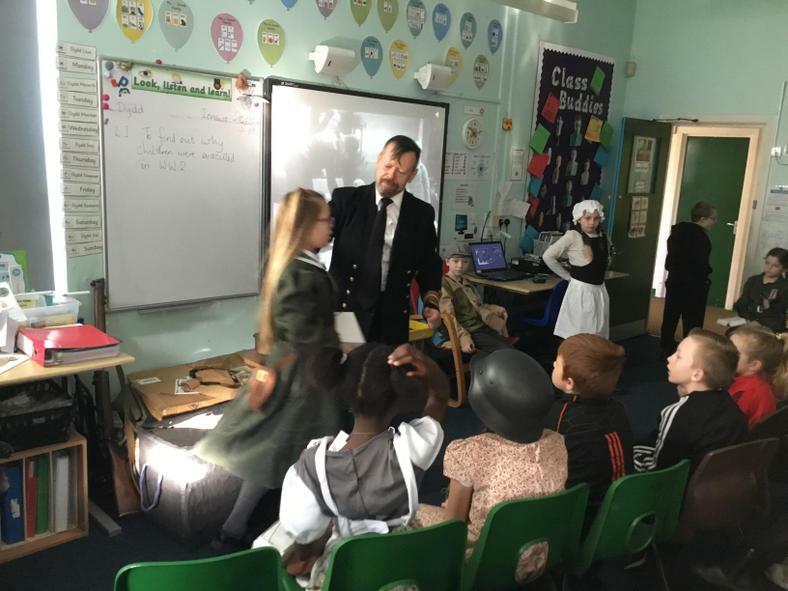 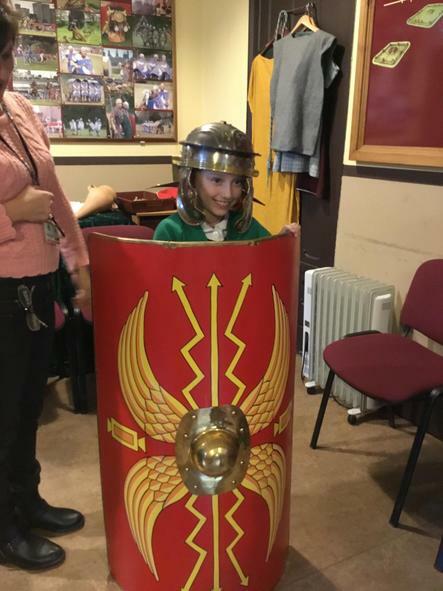 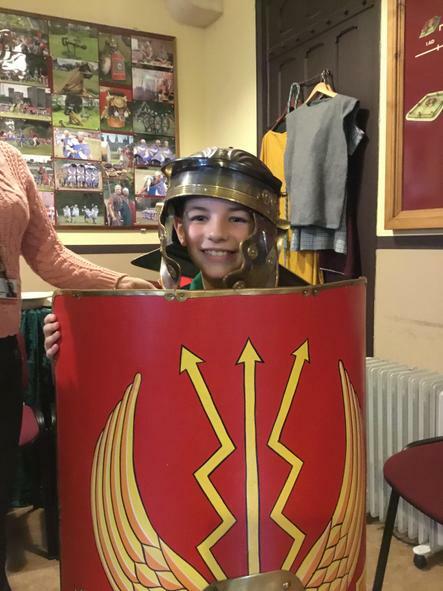 We have had a busy yet exciting start to the school year and we hope you will enjoy keeping up to date with all of the fun that we have, here on our class page! 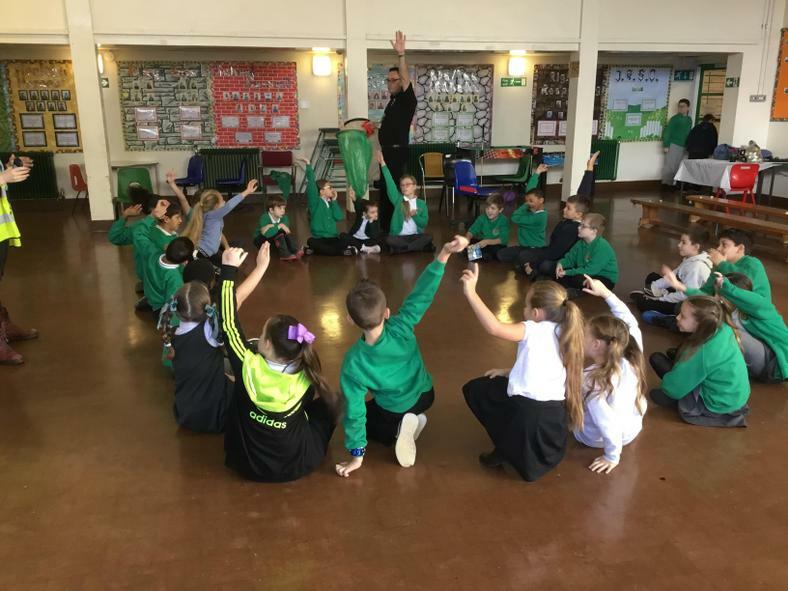 Year 4 PE sessions will take place on a Wednesday afternoon. 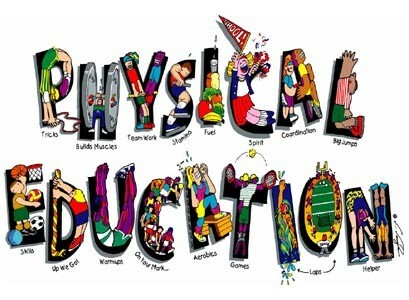 During these PE sessions, children will explore a variety of fitness activities. 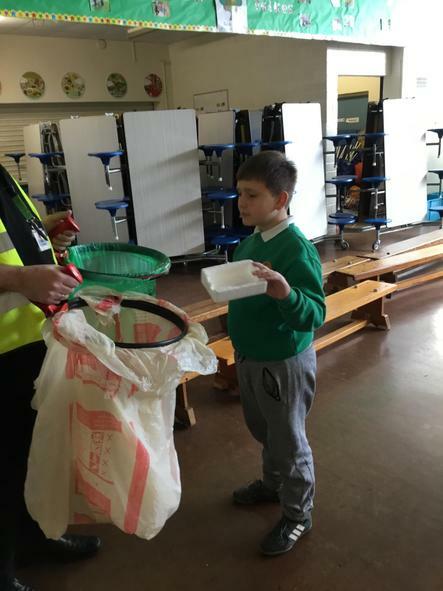 Children will need a white t-shirt, black or navy shorts/joggers/leggings and trainers. 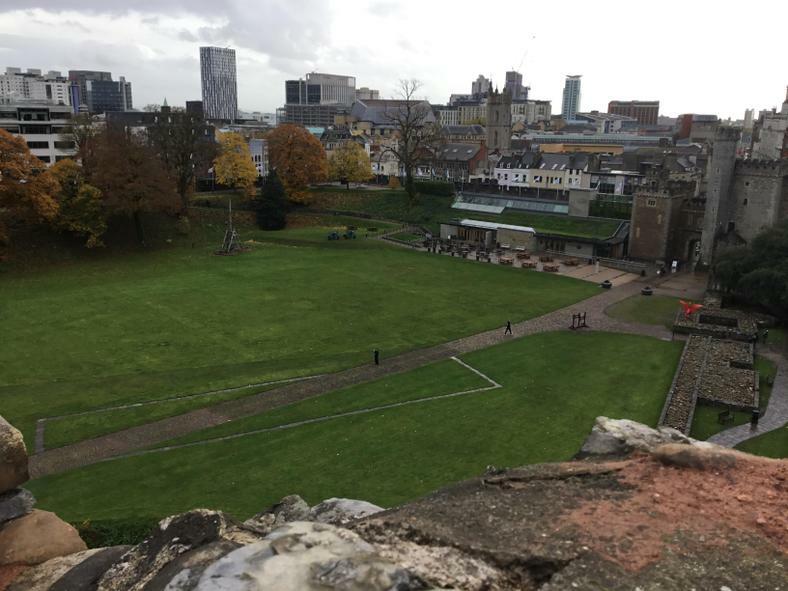 Activities may take place outside if the weather permits. 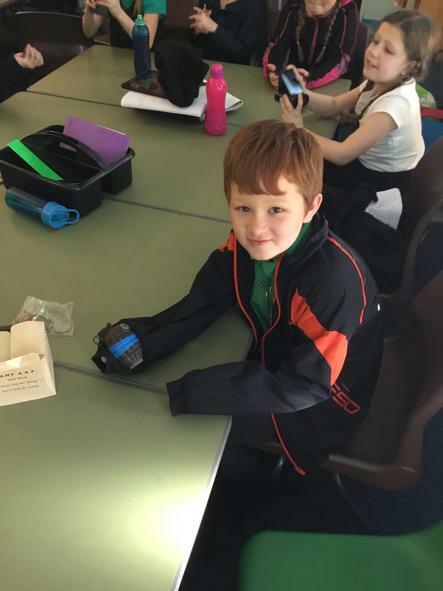 Please ensure children have the relevant PE kit I school each Wednesday to enjoy these sessions. 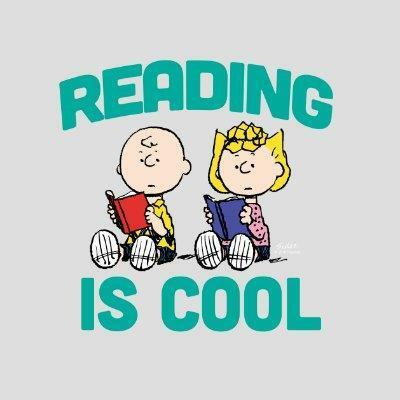 Reading is vital to a child's education and in Year 4 we reward reading with Class Dojo points, which contributes to our VIP award as well as other small rewards. 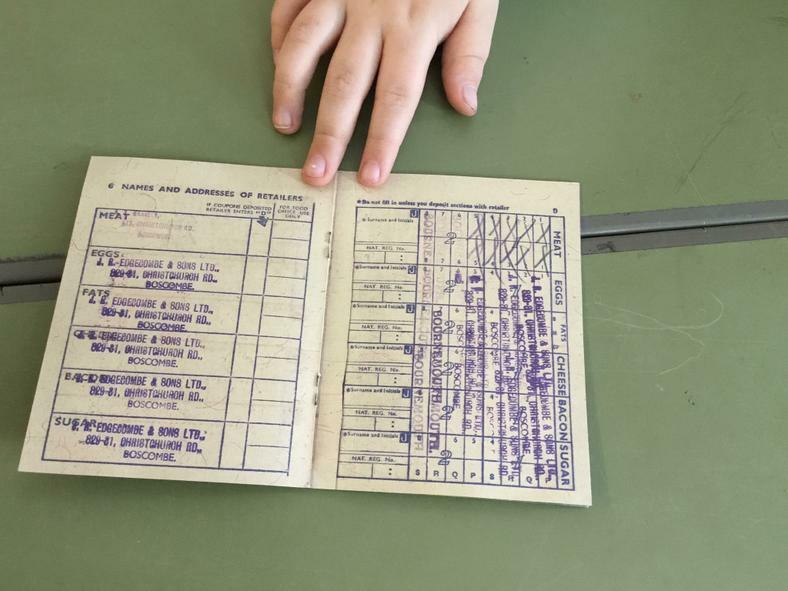 Children's reading logs are checked and signed every Tuesday and Friday by Year 4 teachers, but can be changed as required. 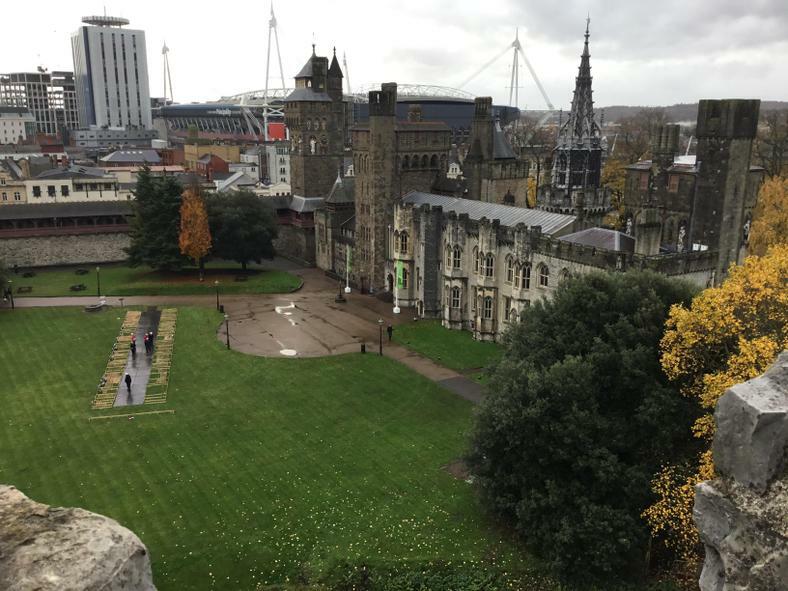 This term pupils will be exploring Cardiff Bay and it’s surroundings, locating these on ordinate survey maps. 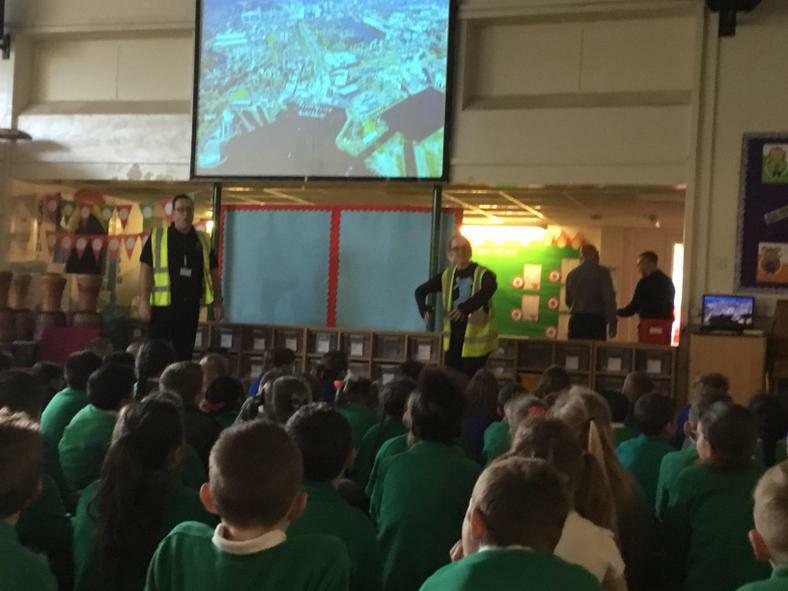 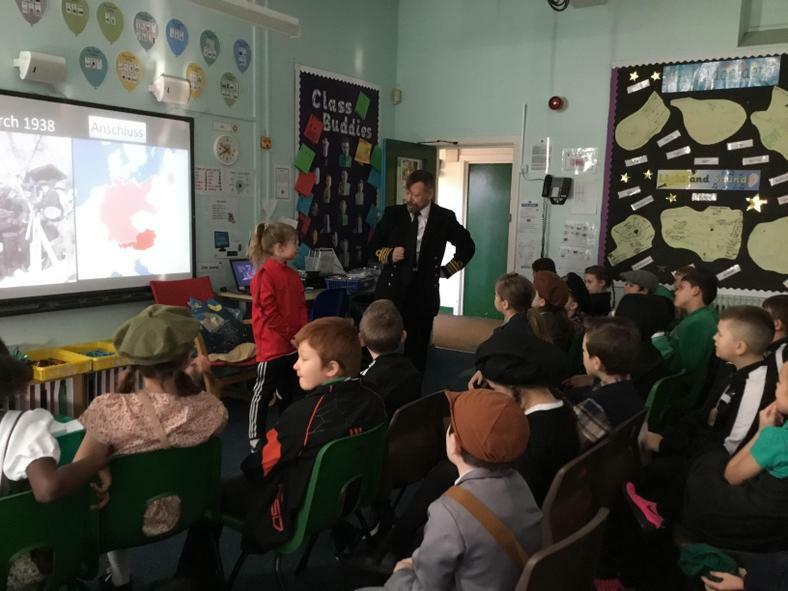 Pupils will learn about the development of Cardiff Bay and how it has changed over time. 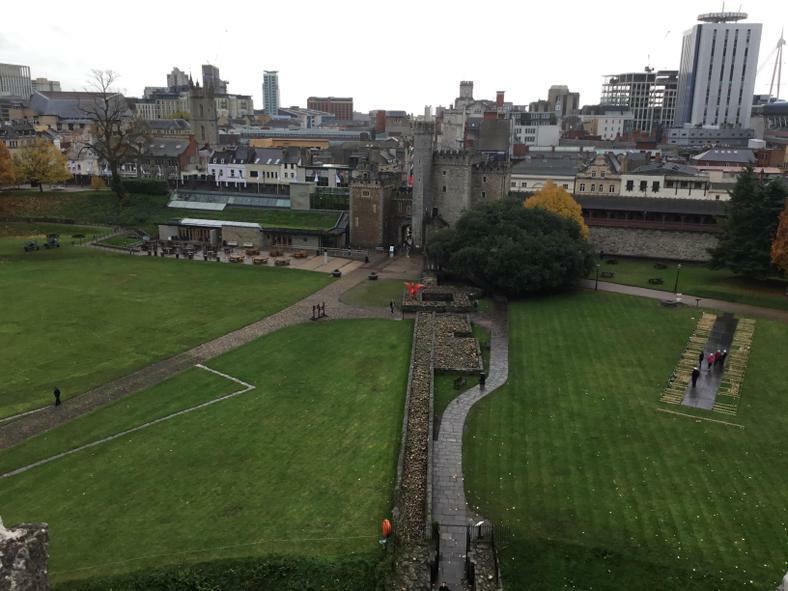 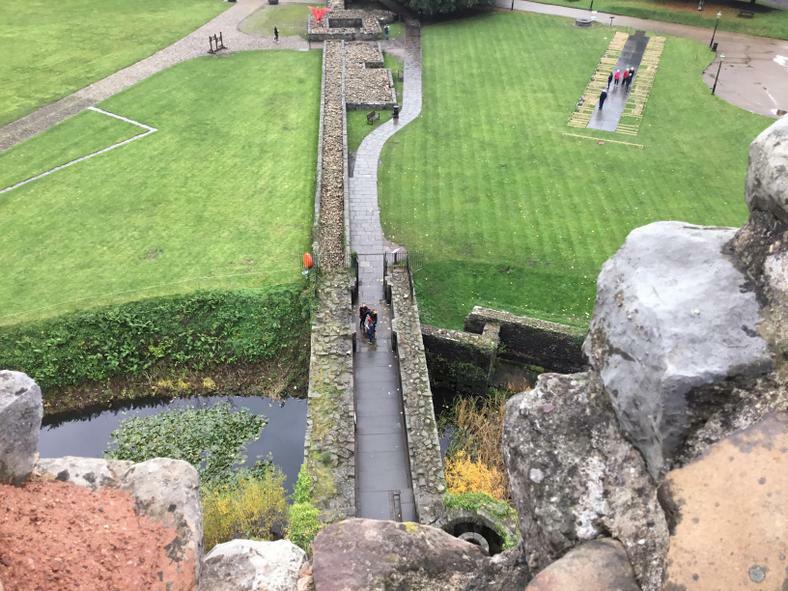 Pupils will recognise natural and man-made features of Cardiff, and compare and contrast these to their local areas. 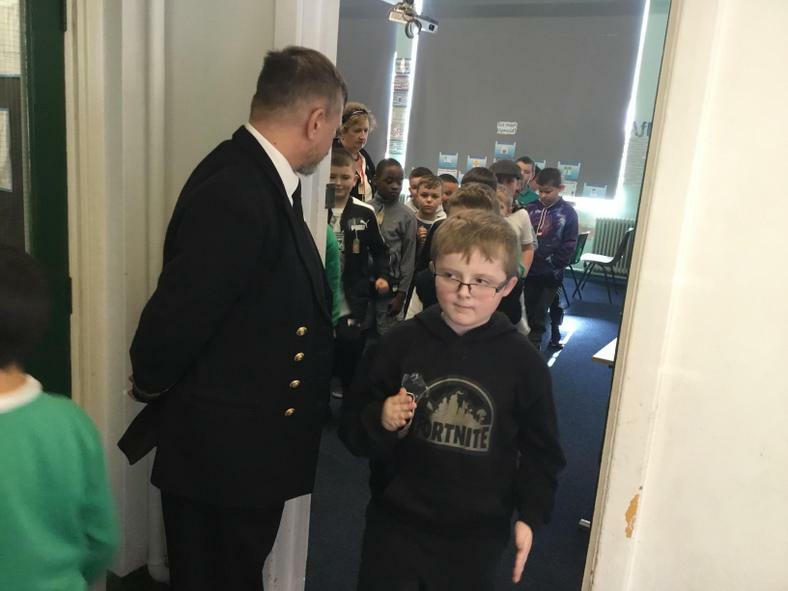 Pupils will be attending swimming lessons at Eastern Leisure Centre from Monday 4th March to Friday 15th March during the afternoon session. 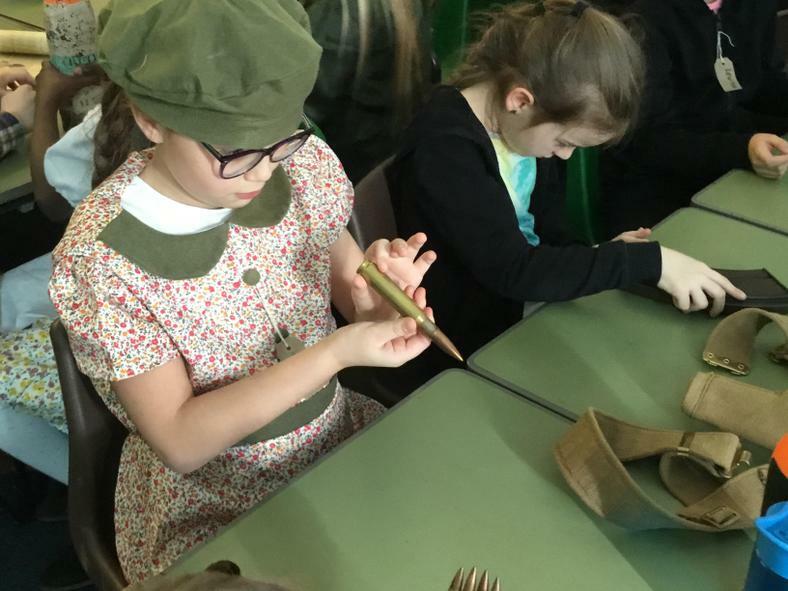 Please ensure that your child brings the correct equipment to school each day so that they can participate in this activity. 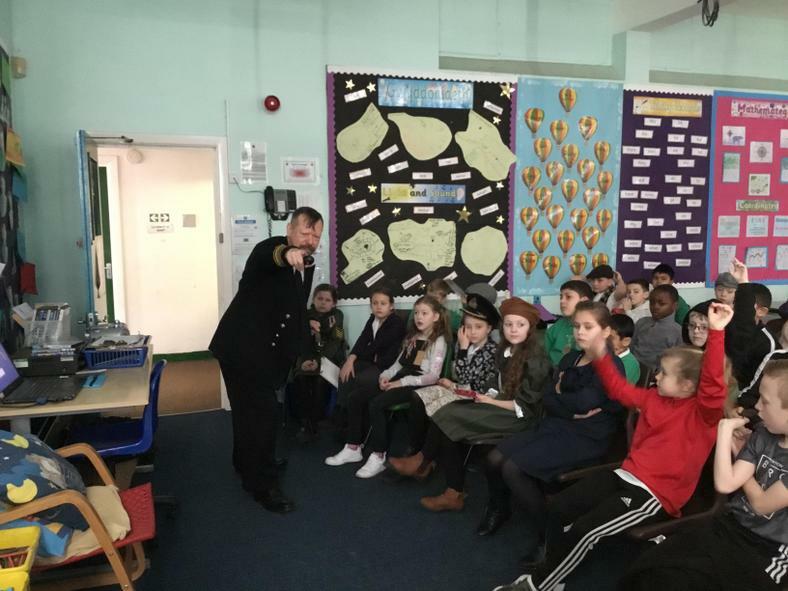 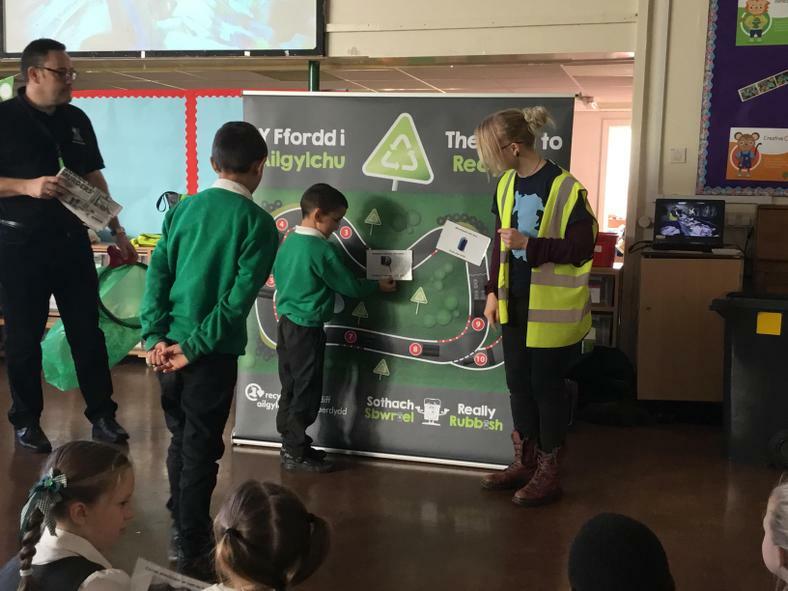 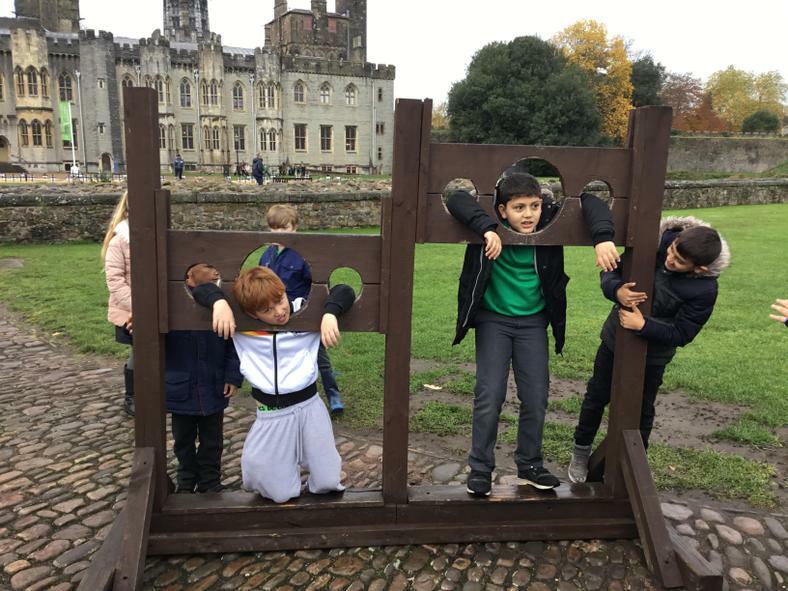 As you can imagine, the children are very excited about their upcoming trip to Cardiff Bay on Thursday 7th - Friday 8th March. 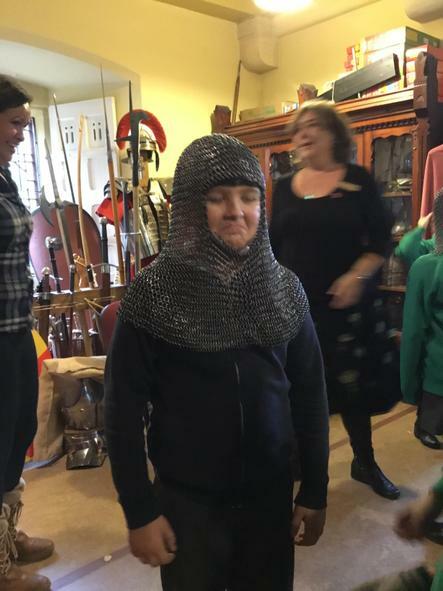 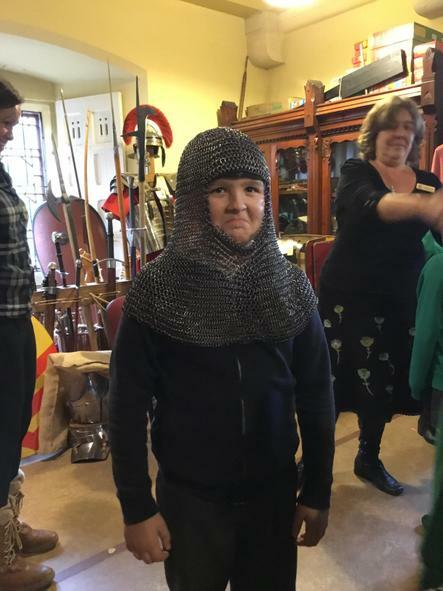 Mrs, Lundrigan, Miss Davies, Mr Matthews and Alex will be accompanying the children. 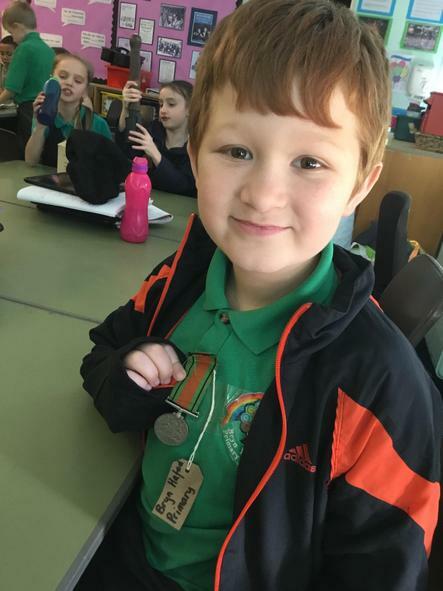 Please ensure that if your child is attending that you have returned the medical form to Miss Davies, with any medicines clearly labelled with your child's name. 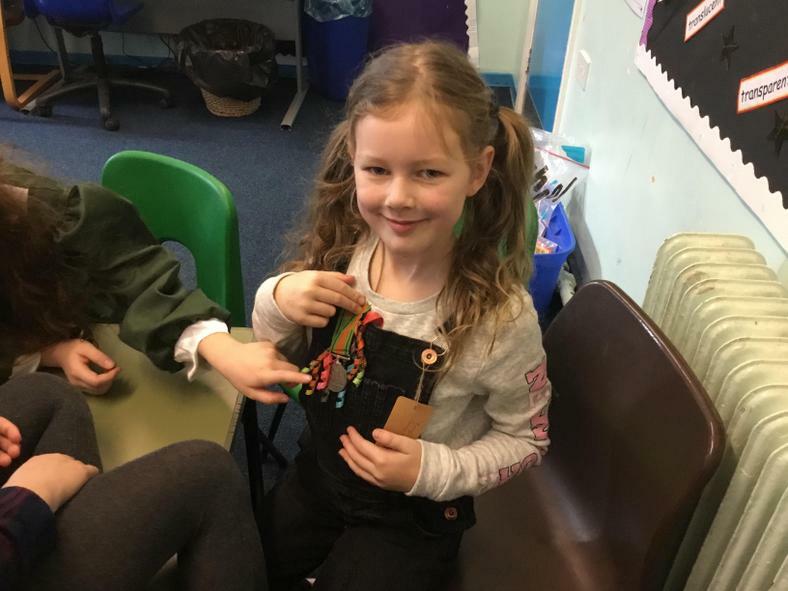 Spending money must be placed in a purse or wallet and labelled with the child's name. 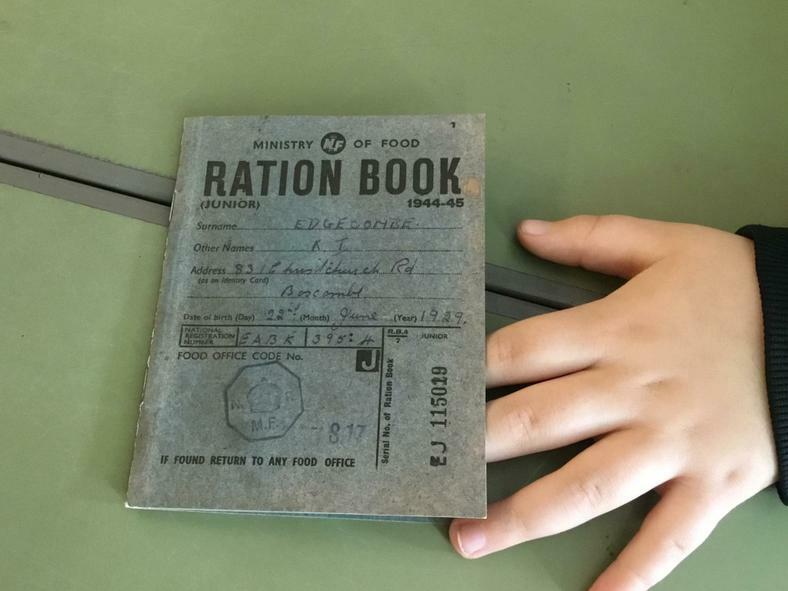 this should be given to Miss Davies on arrival. 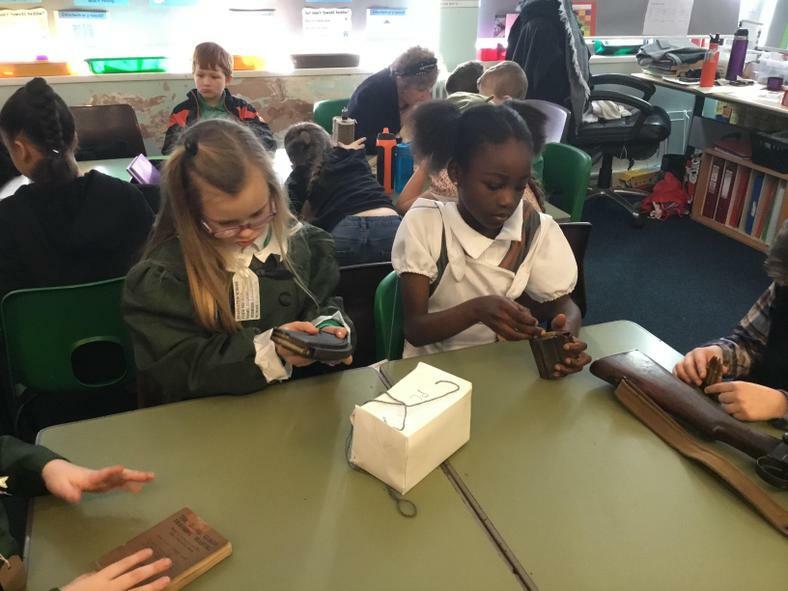 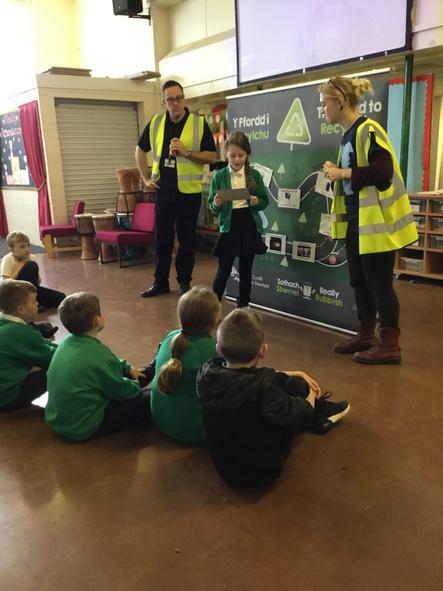 Children are not allowed to being any electronic devices or mobile phones. 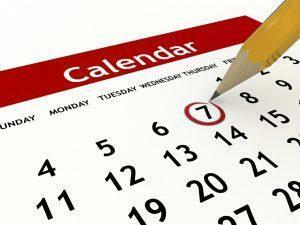 Daily communication on activities will be via text or twitter. 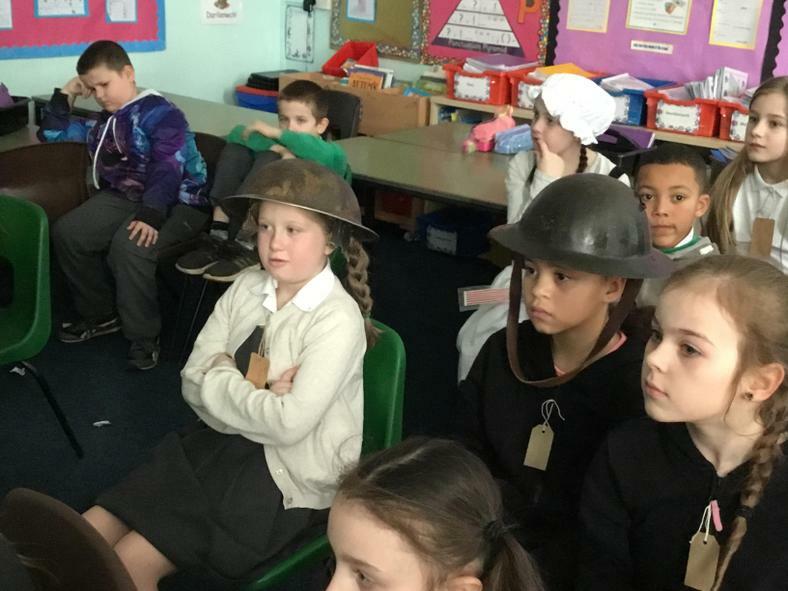 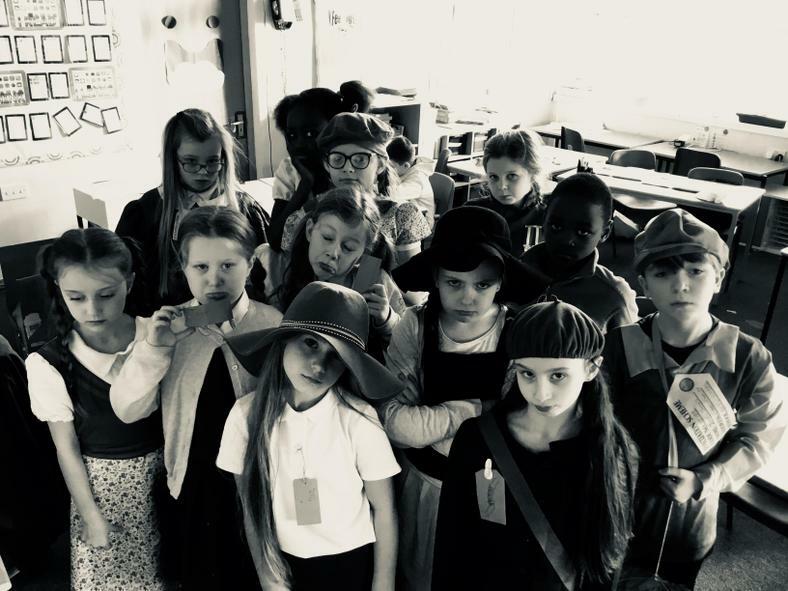 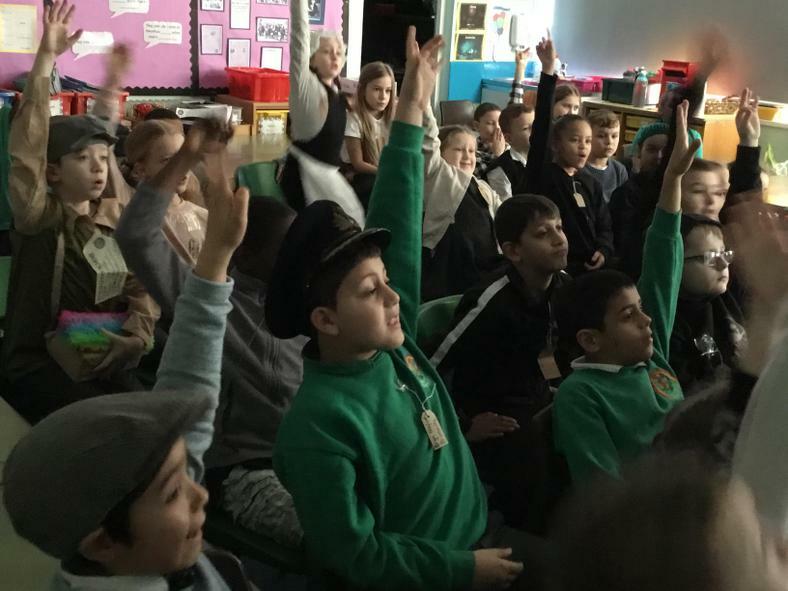 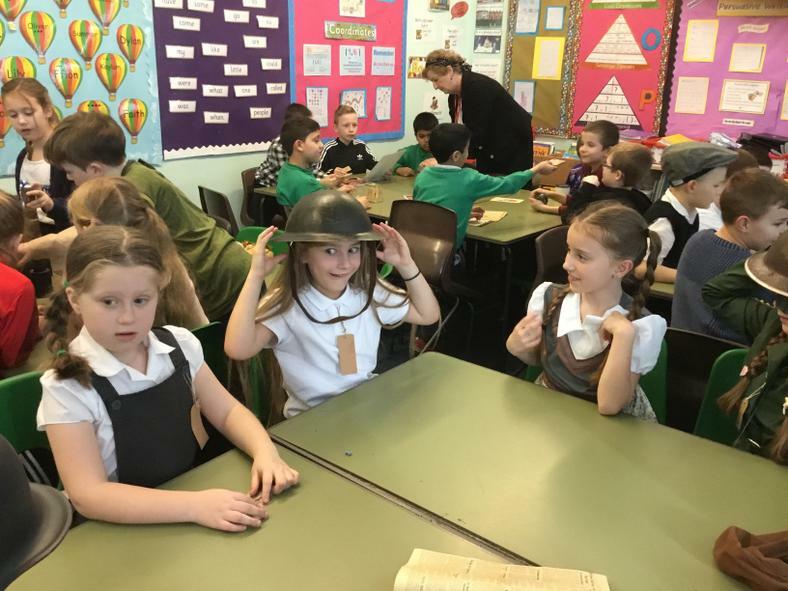 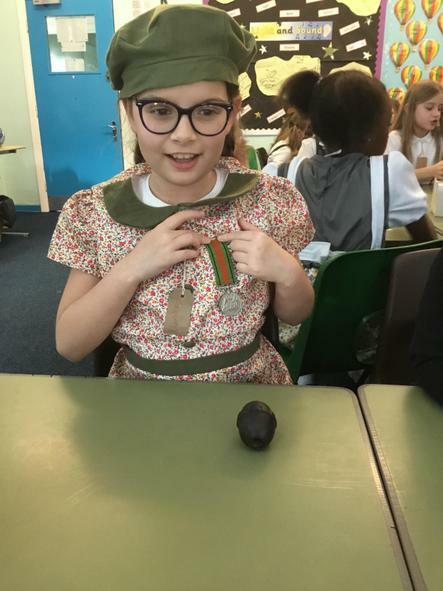 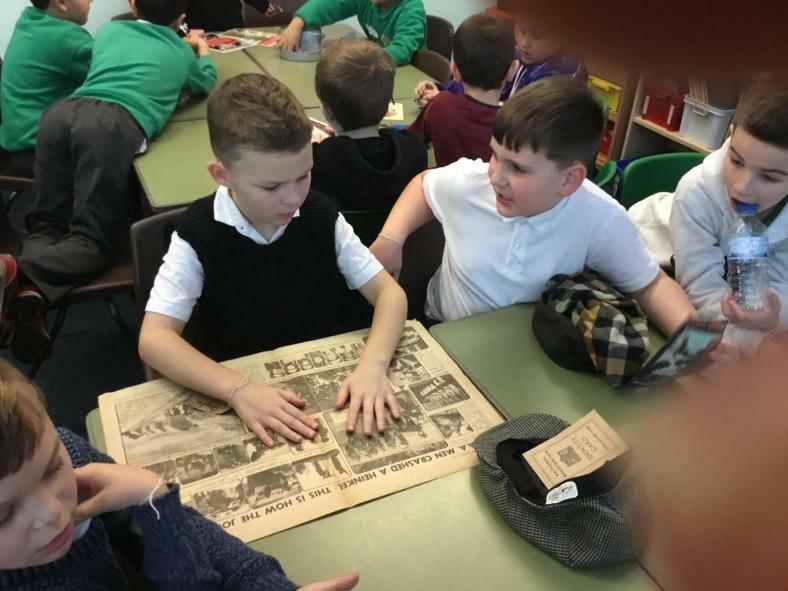 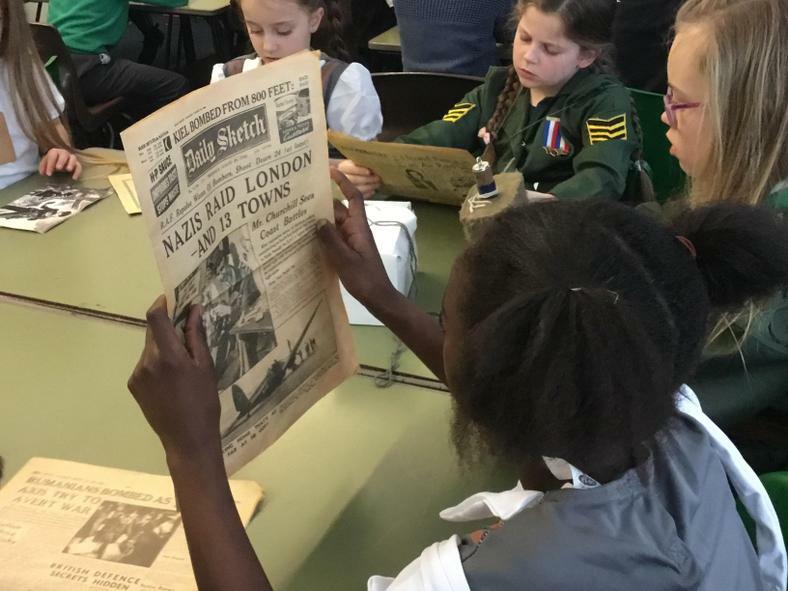 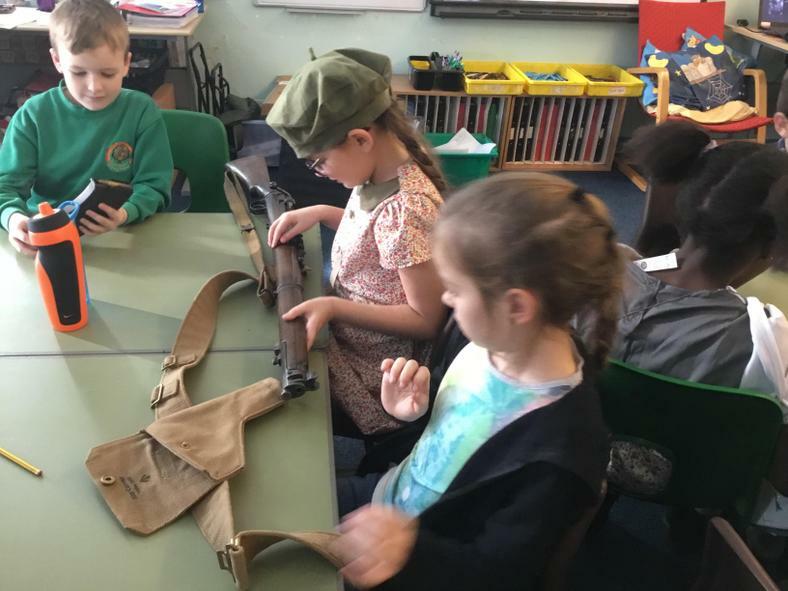 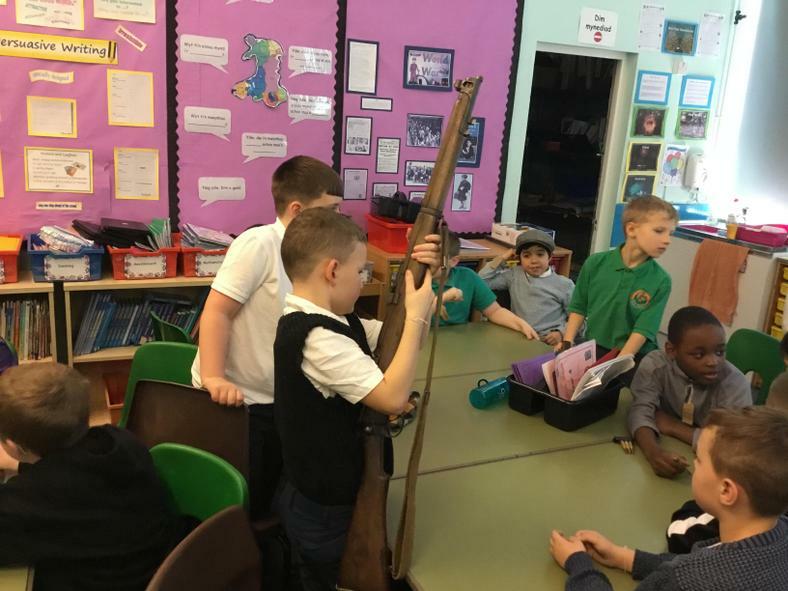 During Spring 1 pupils will be discovering how children in Wales were affected by World War Two. 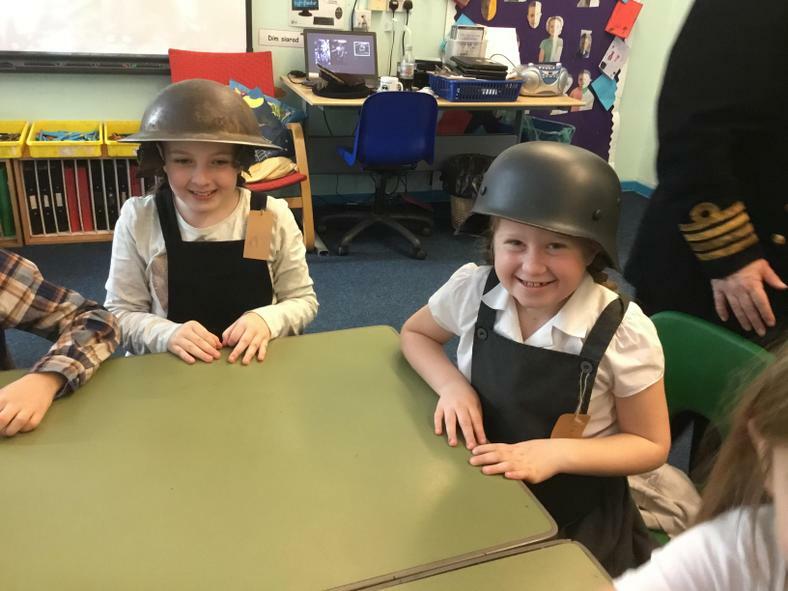 We will learn about why World War 2 started, why children were evacuated, what happened during the Blitz and what rationing involved. 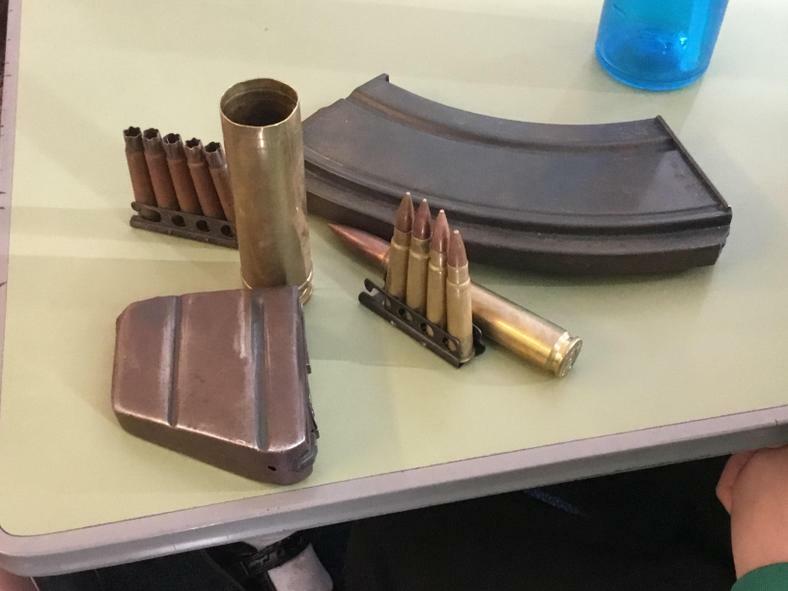 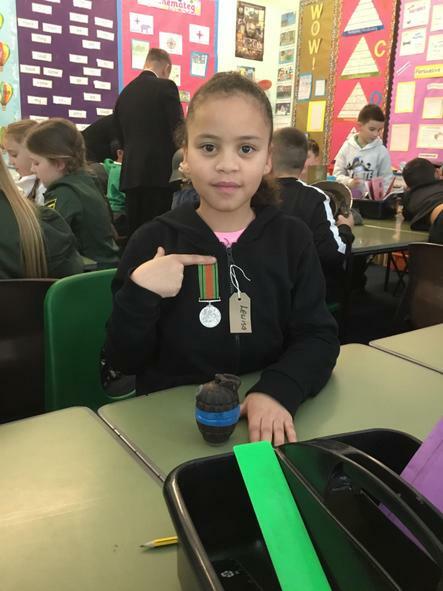 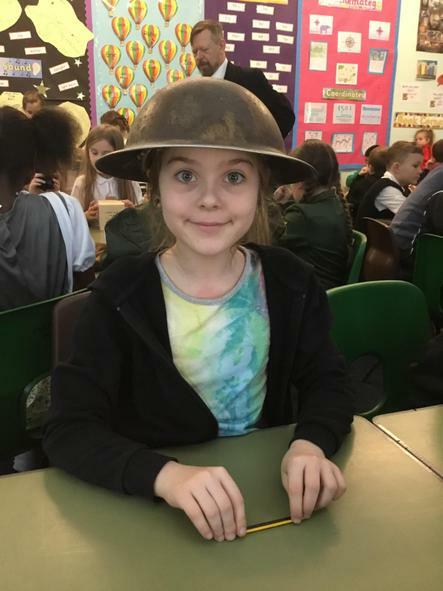 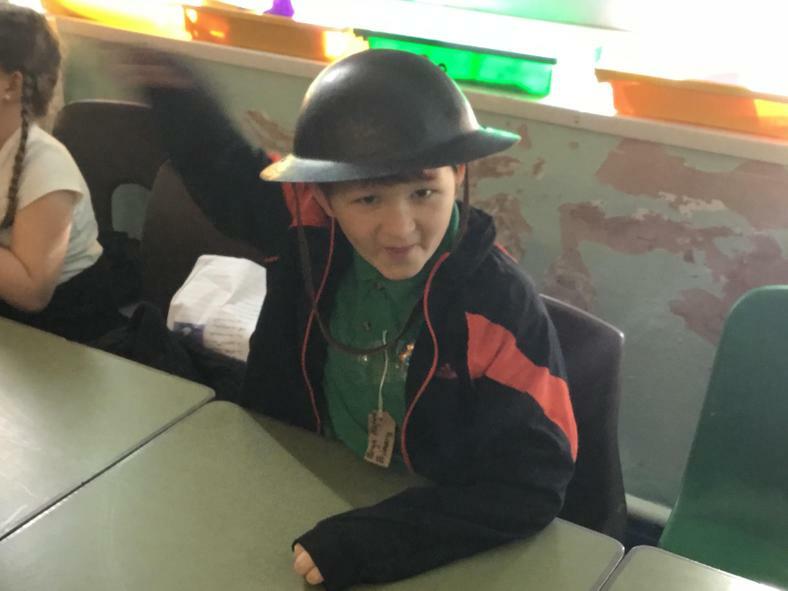 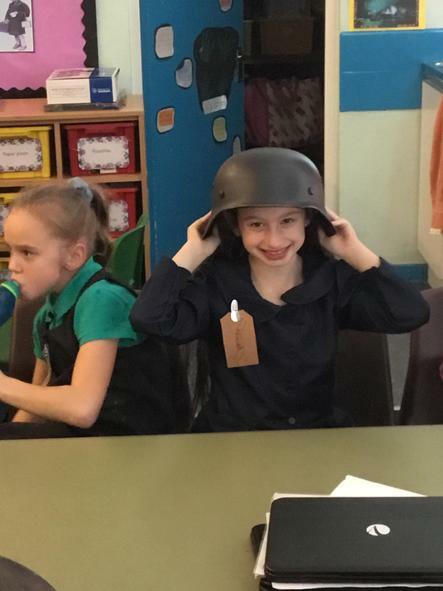 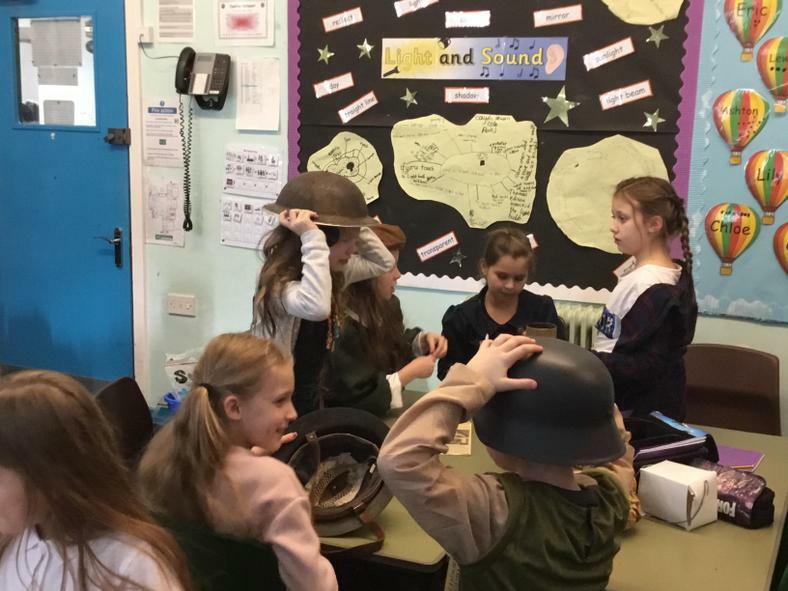 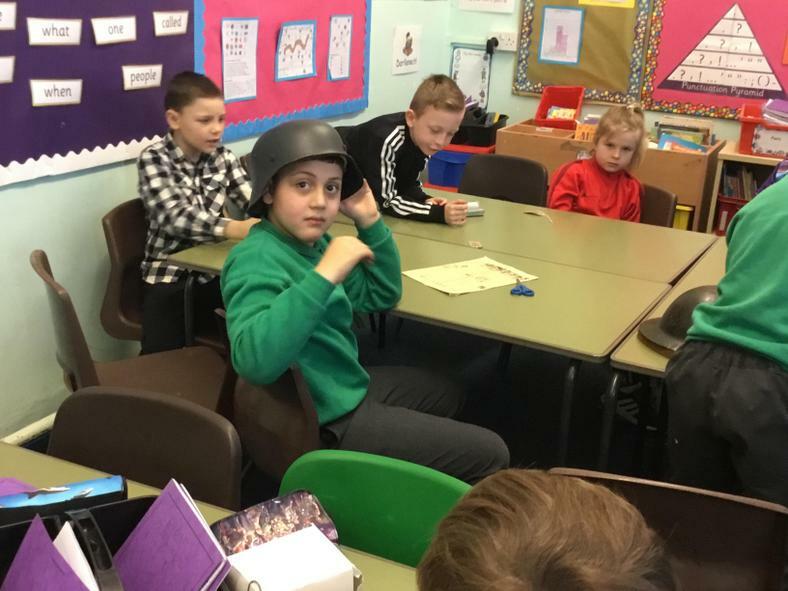 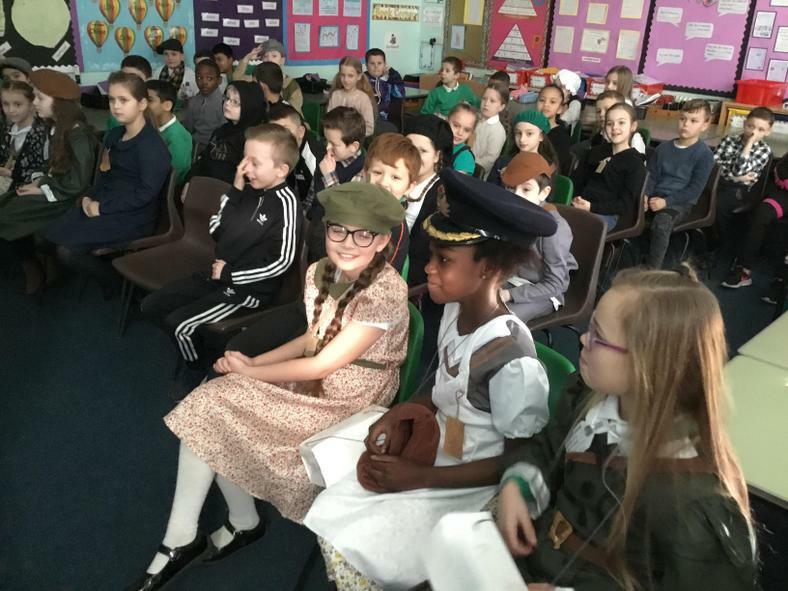 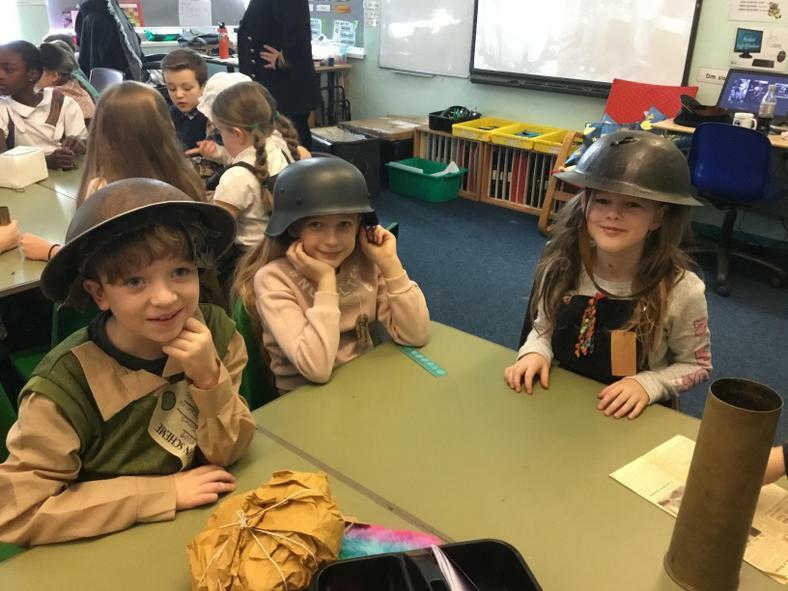 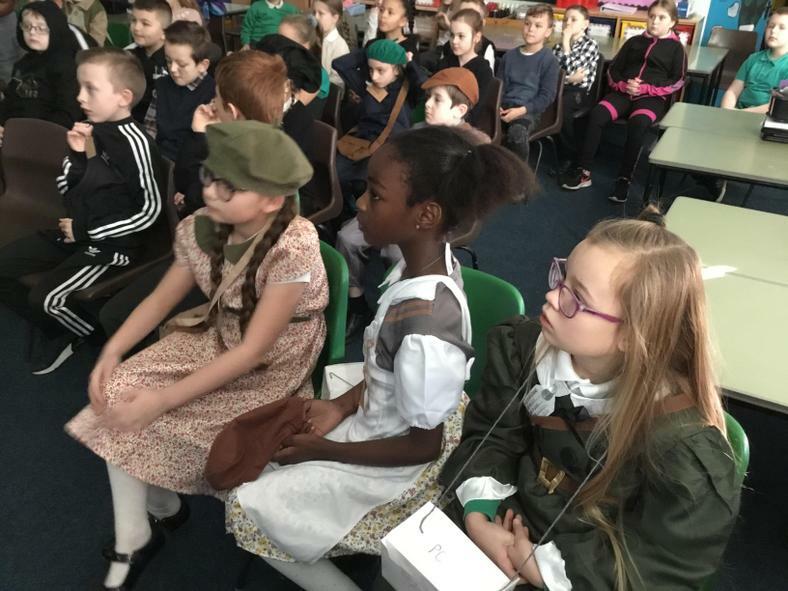 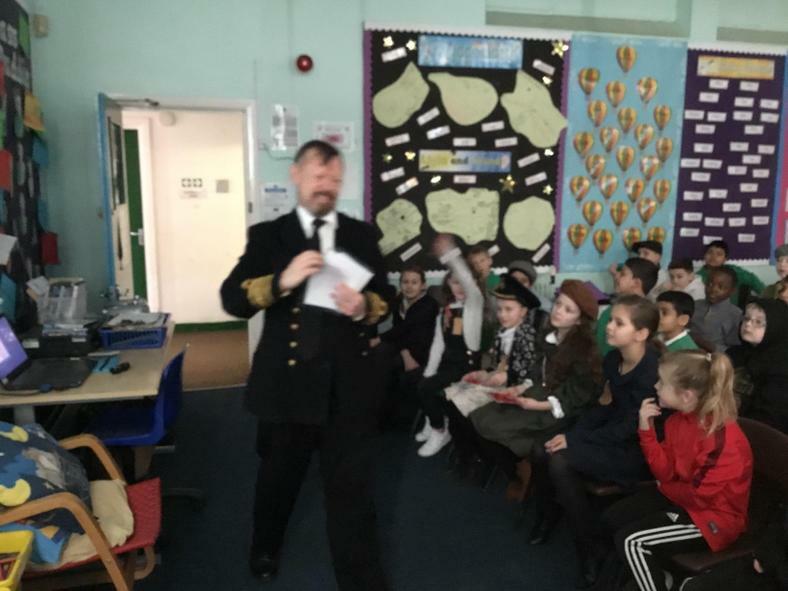 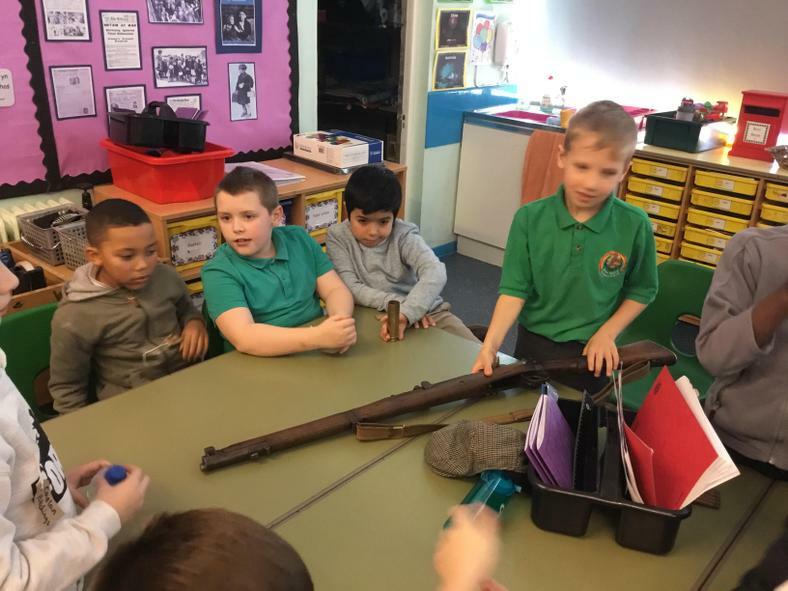 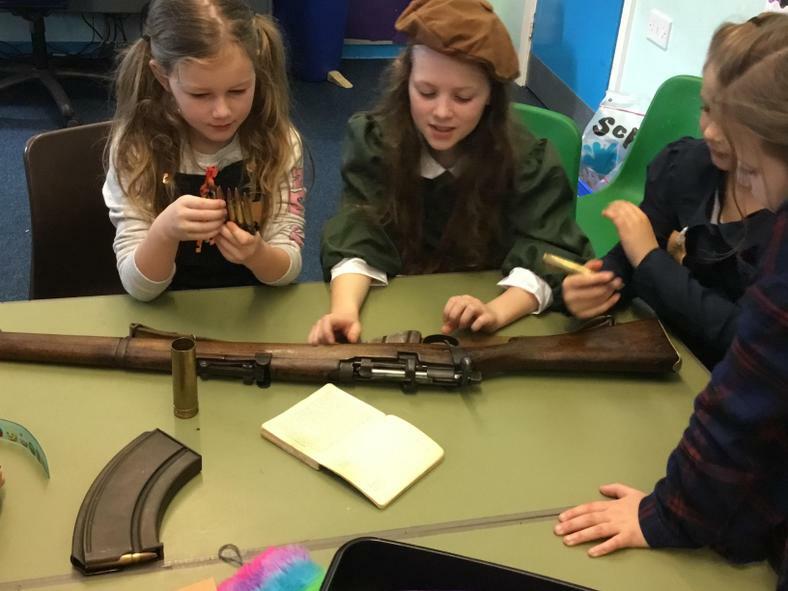 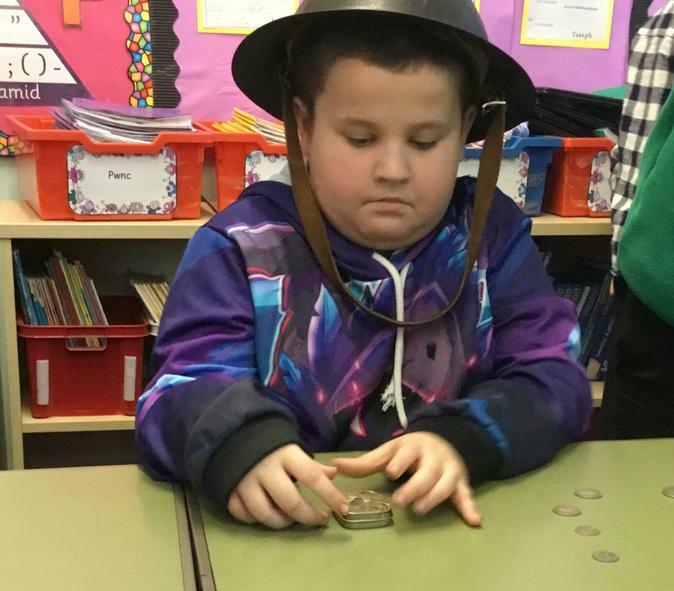 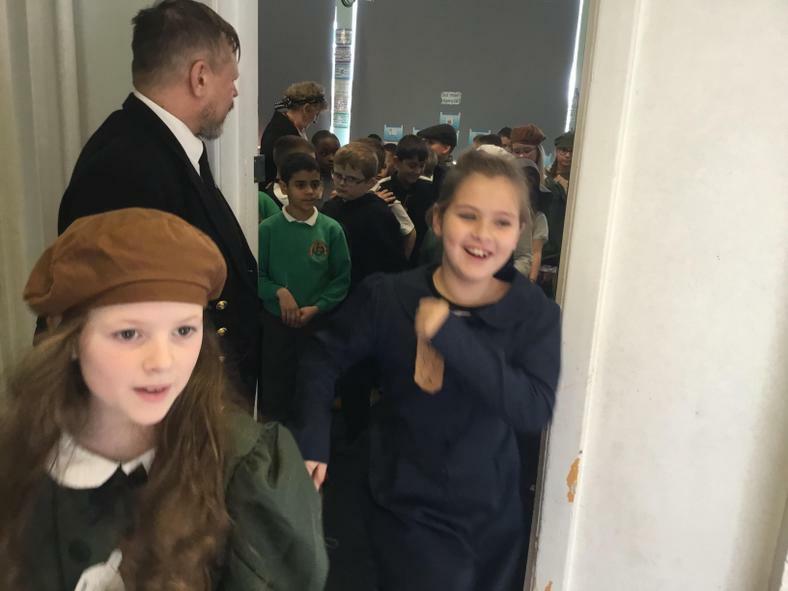 On Wednesday 29th January, Year 4 will have a World War II Day. 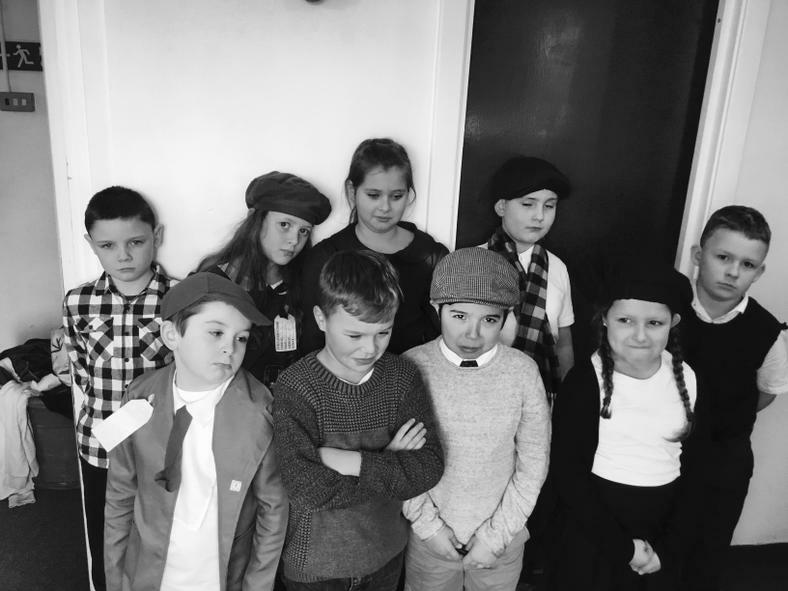 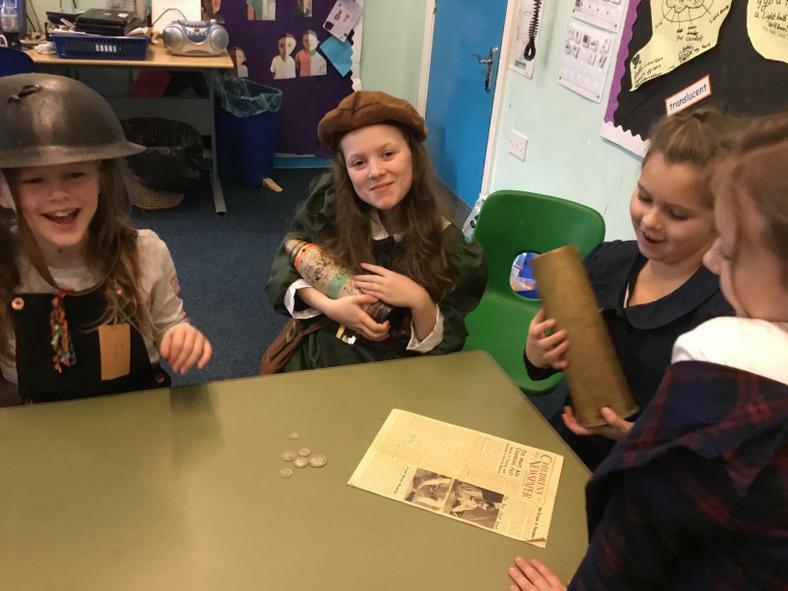 We are inviting pupils to dress up in 1940s costumes and make a £1.00 contribution towards the day. 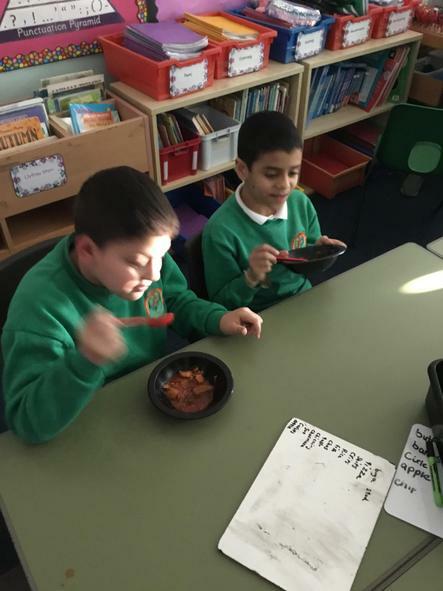 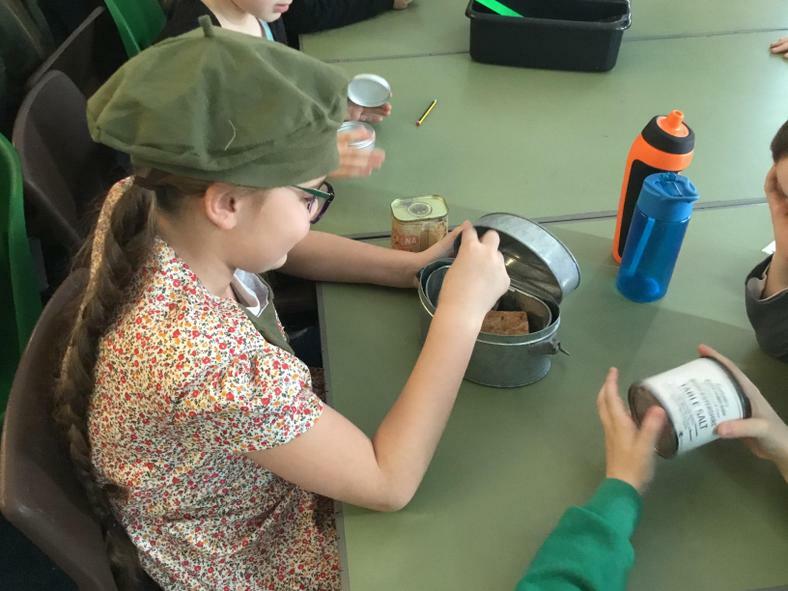 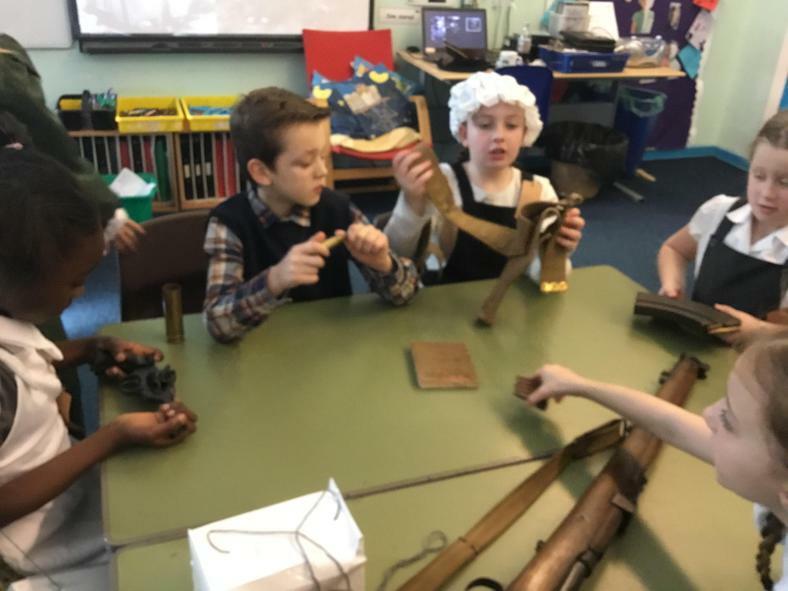 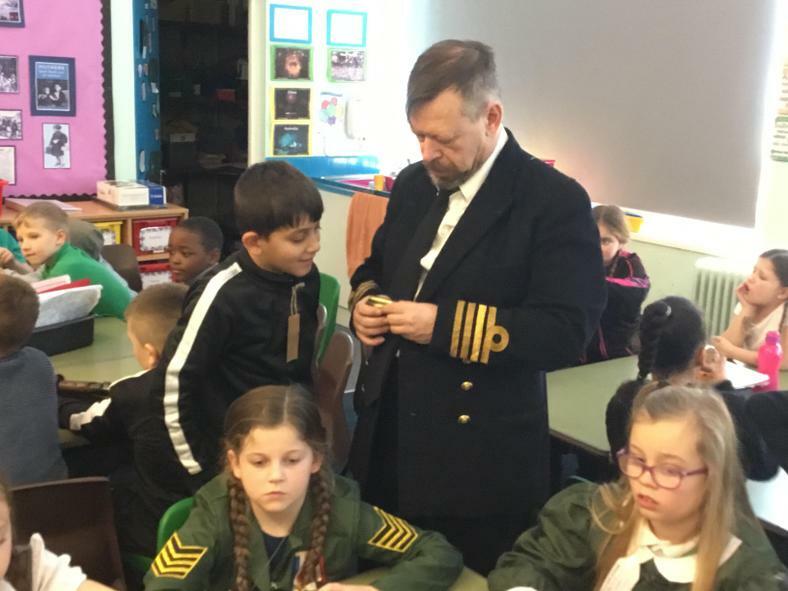 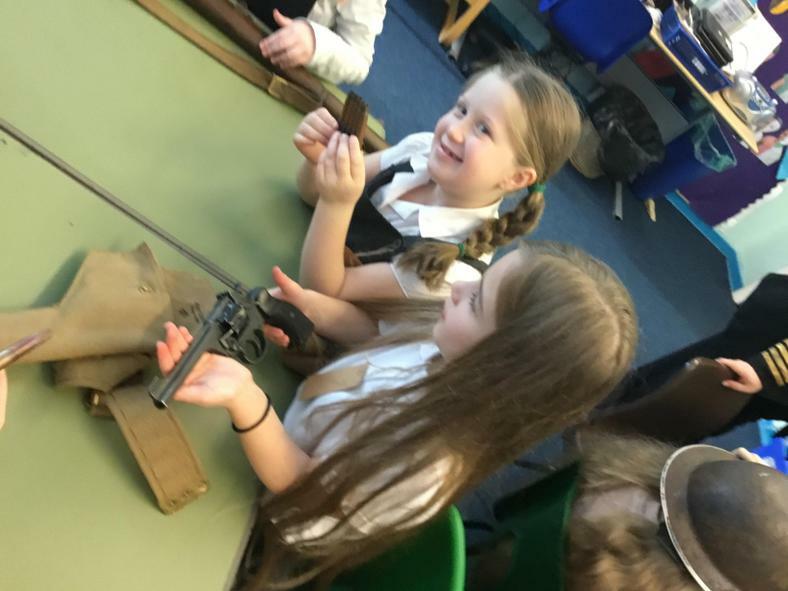 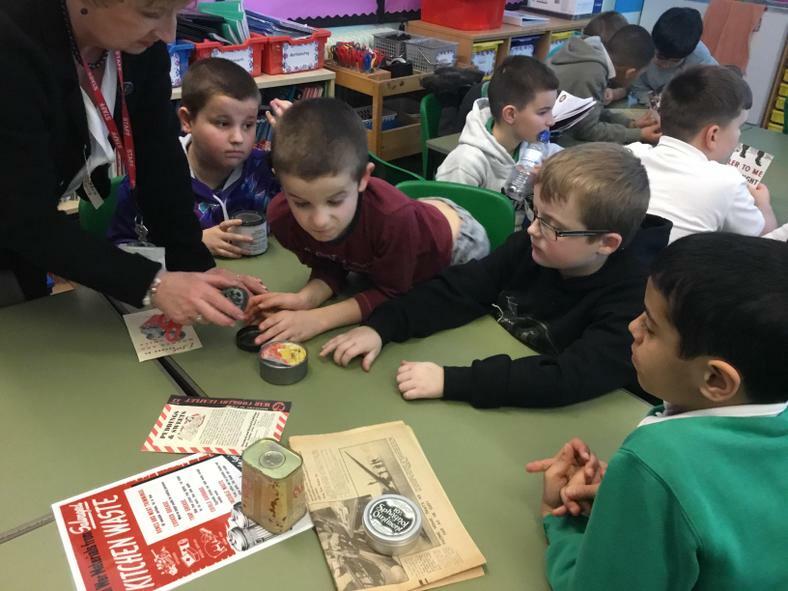 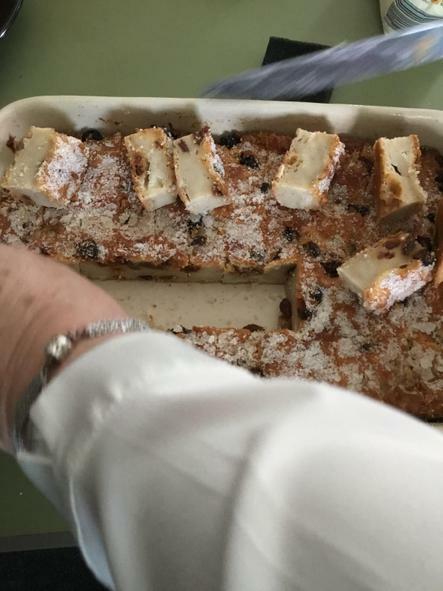 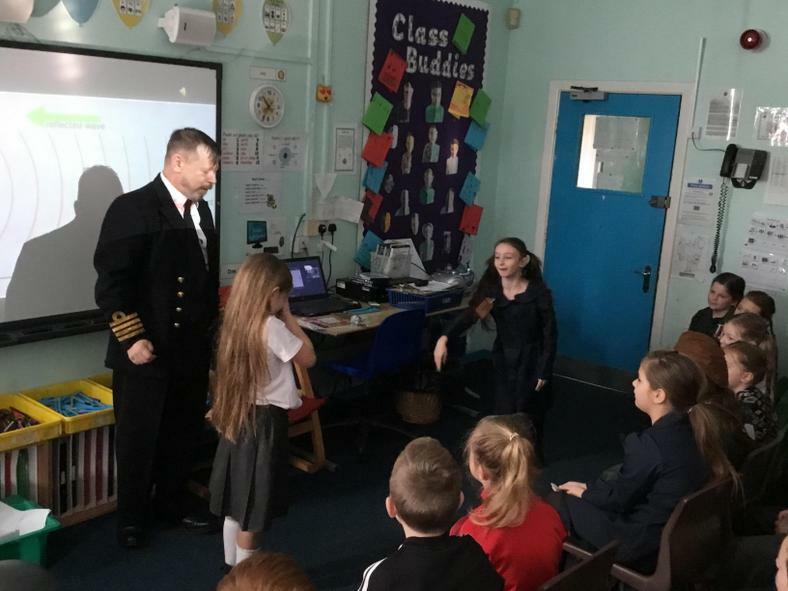 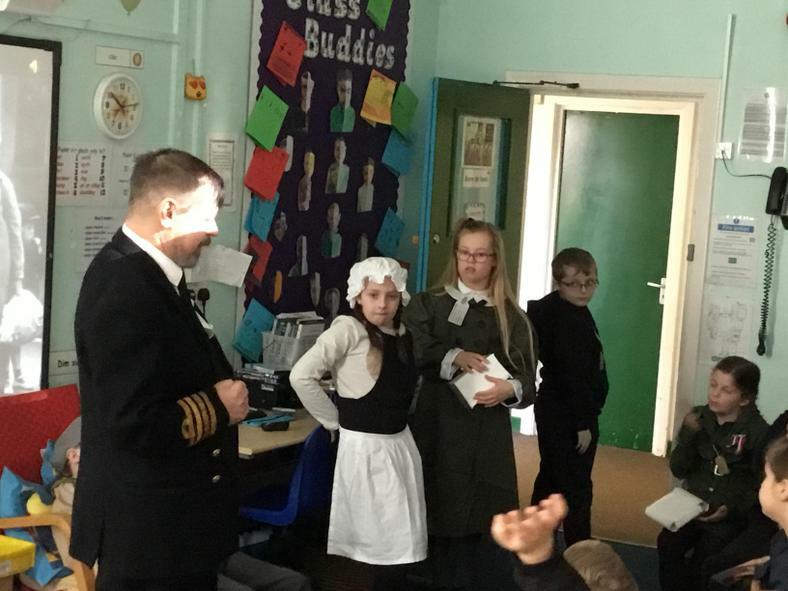 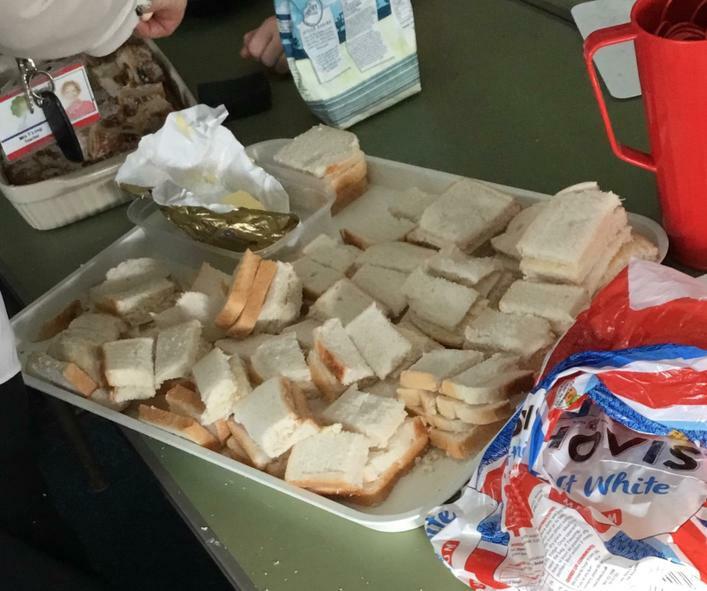 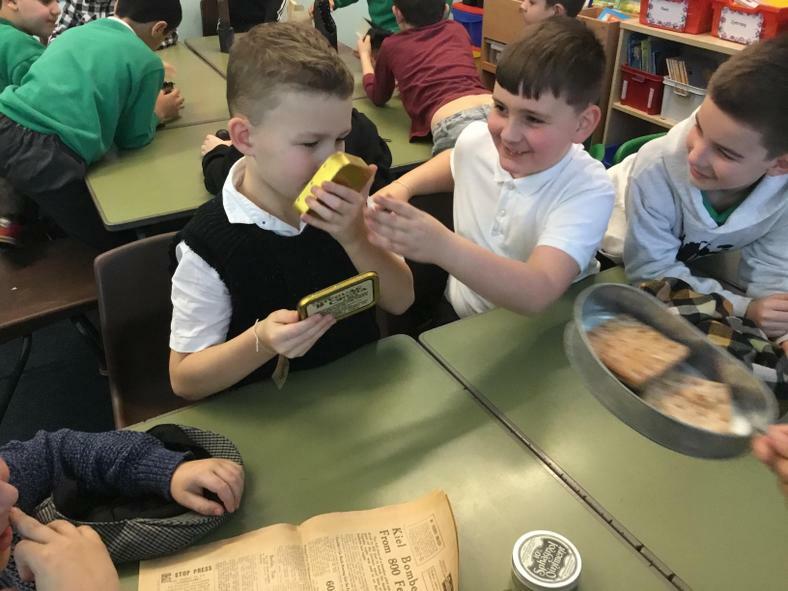 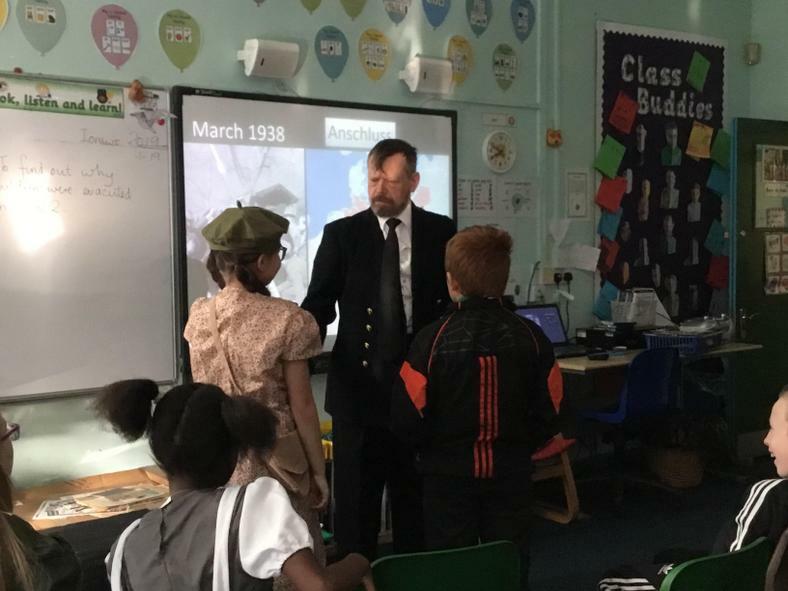 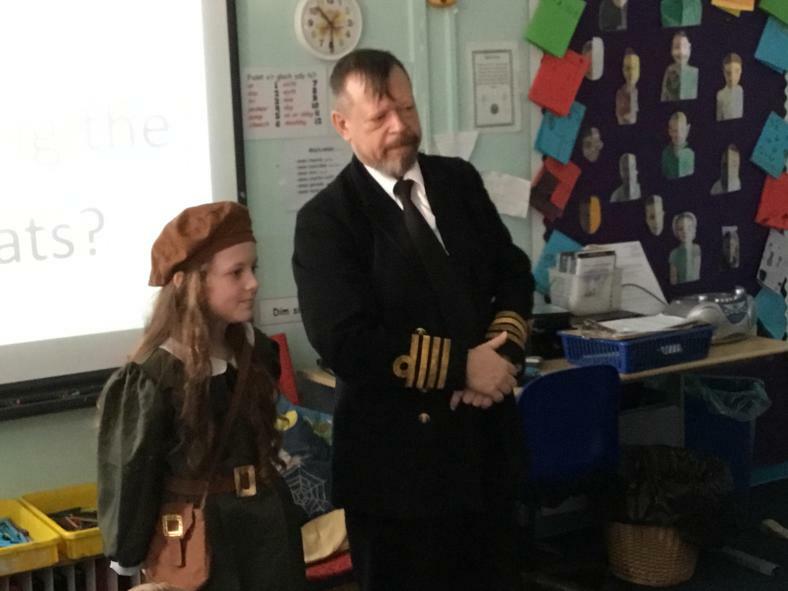 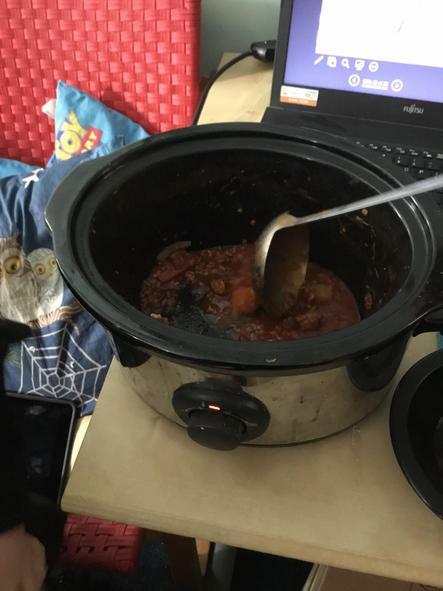 We have booked for an outside agency to deliver a interactive workshop and pupils will have the opportunity to taste different recipes that would have been made from rations. 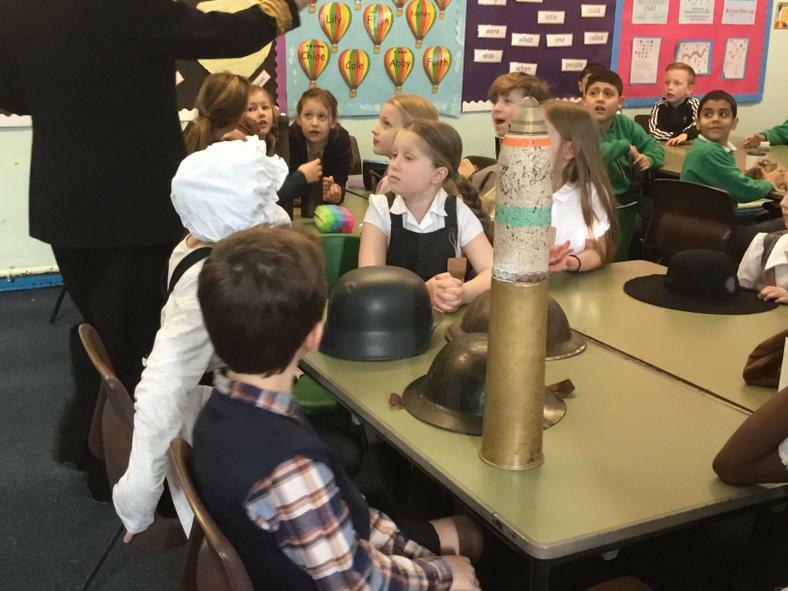 We are sure that it will be a really enjoyable experience.